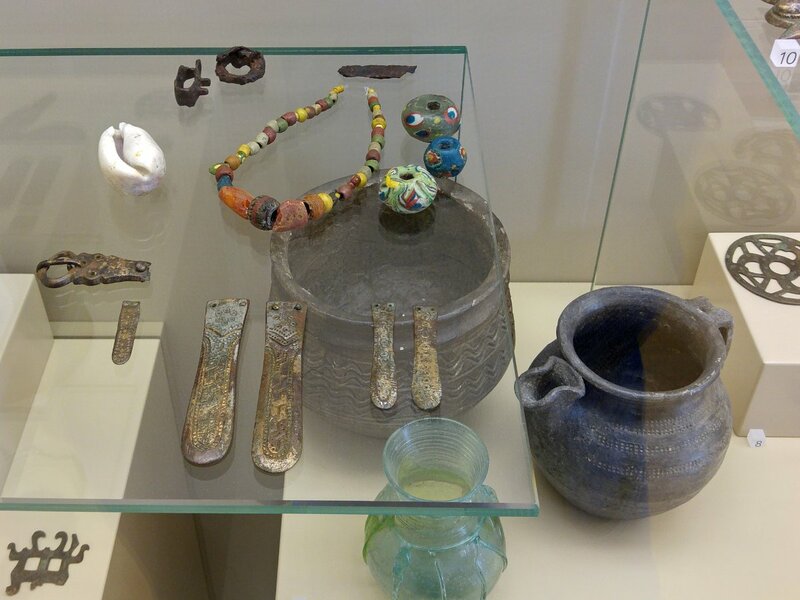 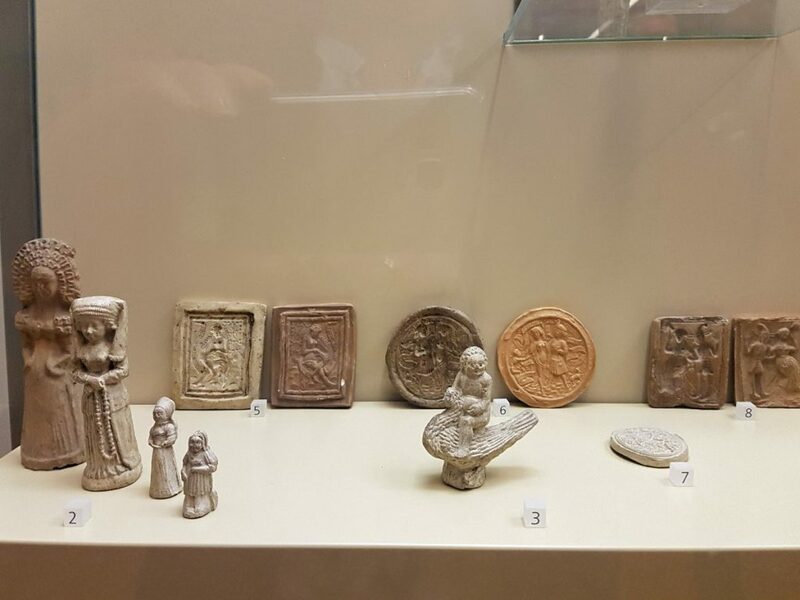 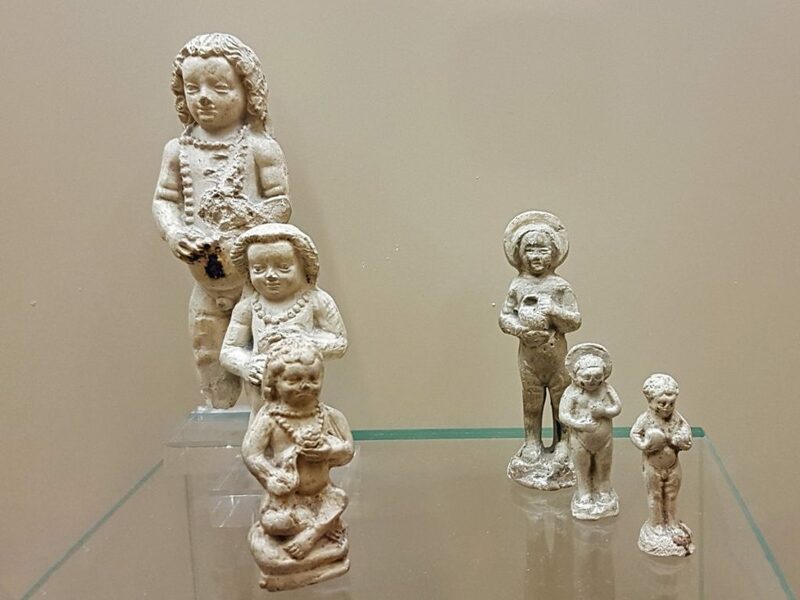 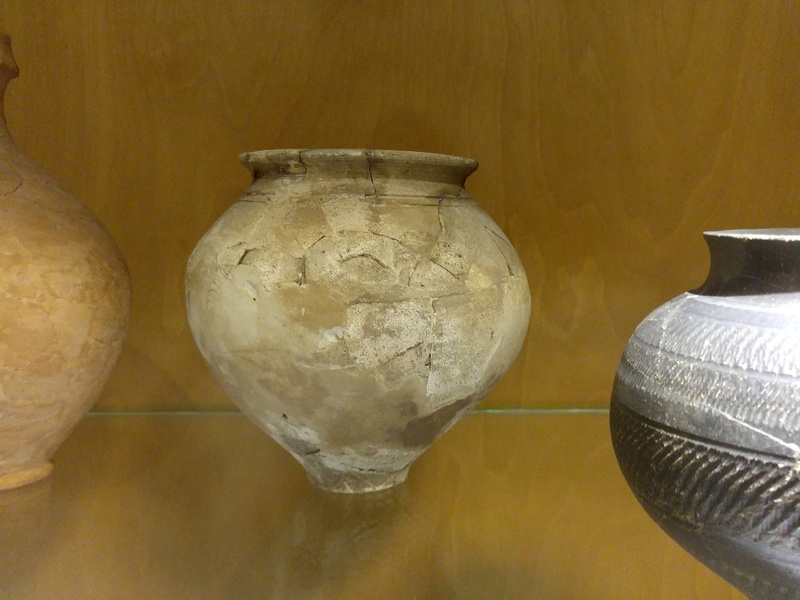 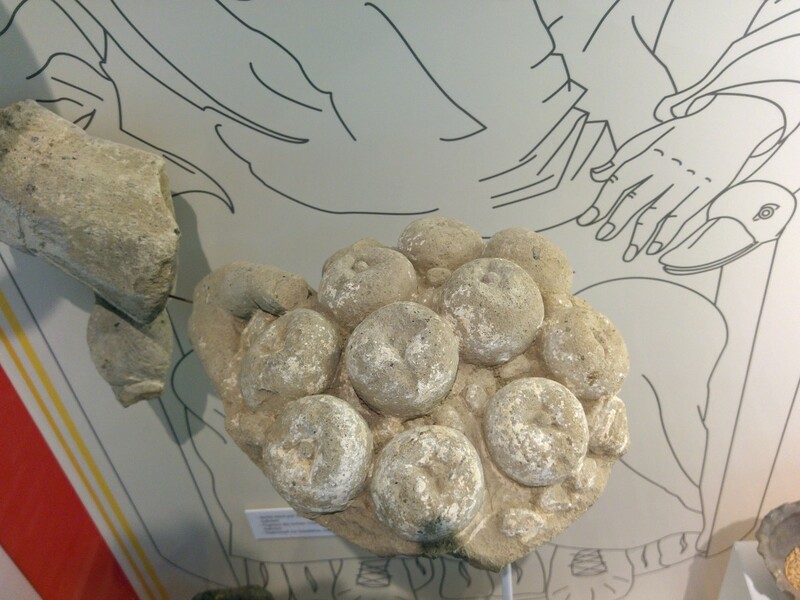 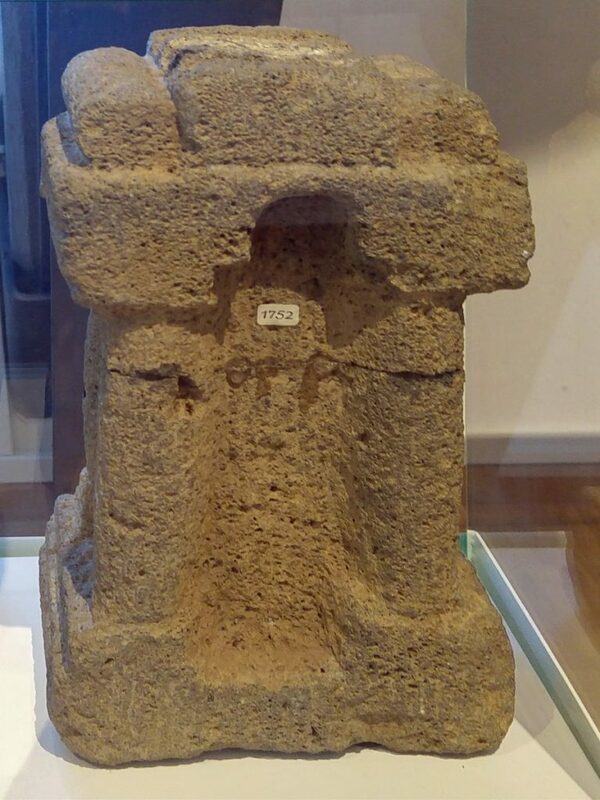 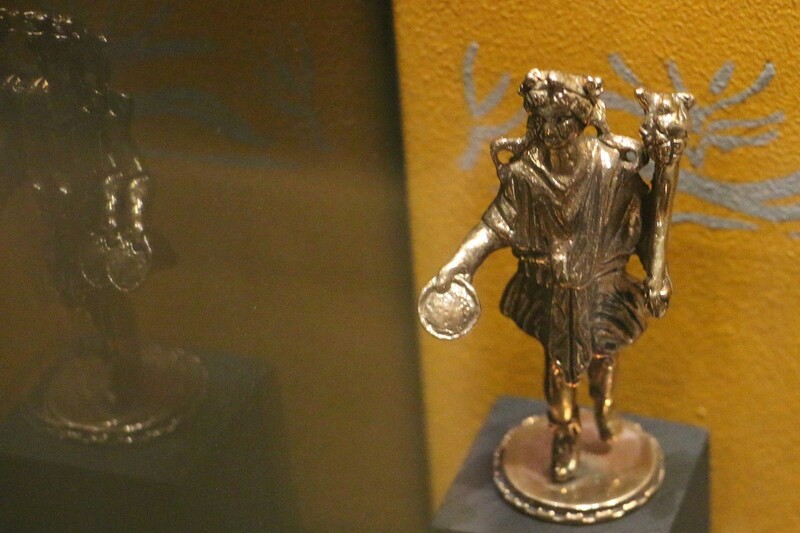 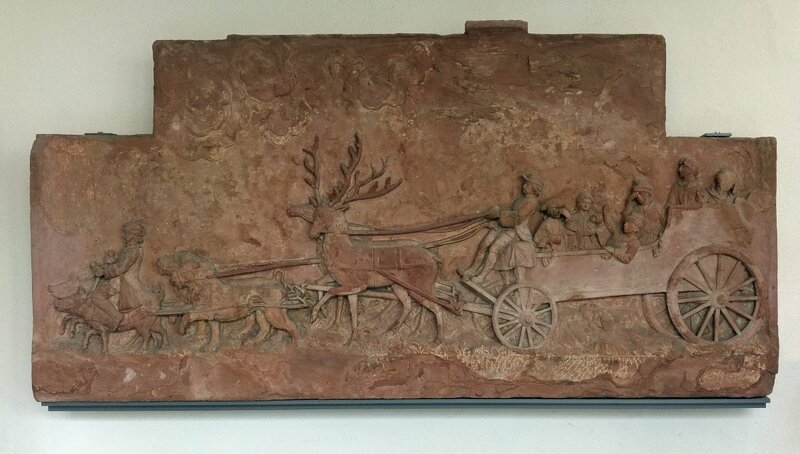 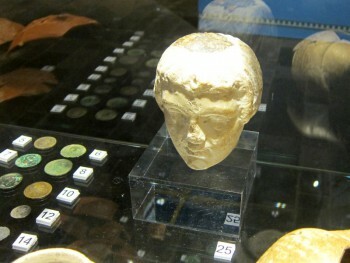 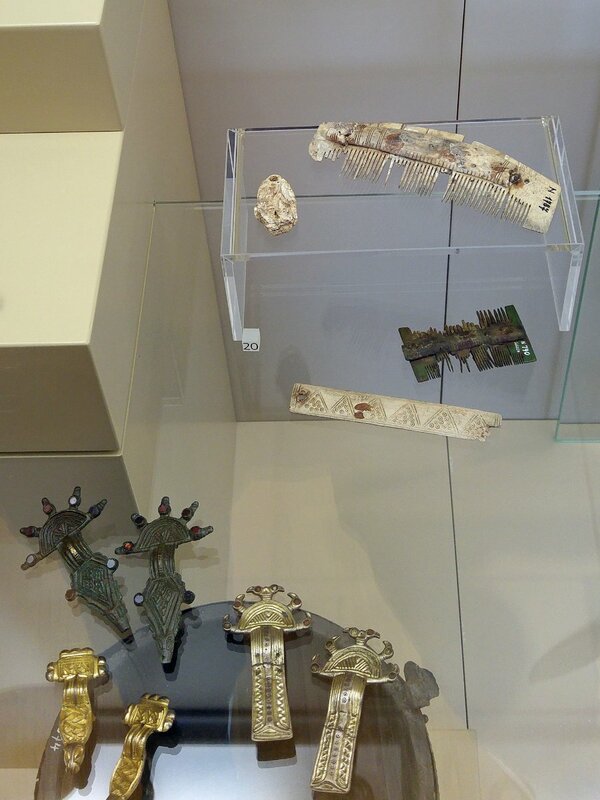 Small collection of roman artifacts in the Eifel museum, Mayen, Genovevo Burg. 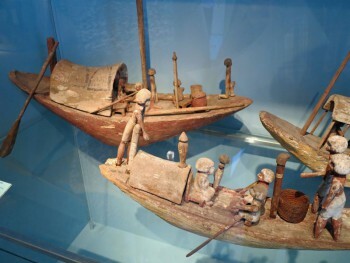 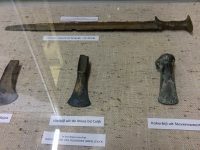 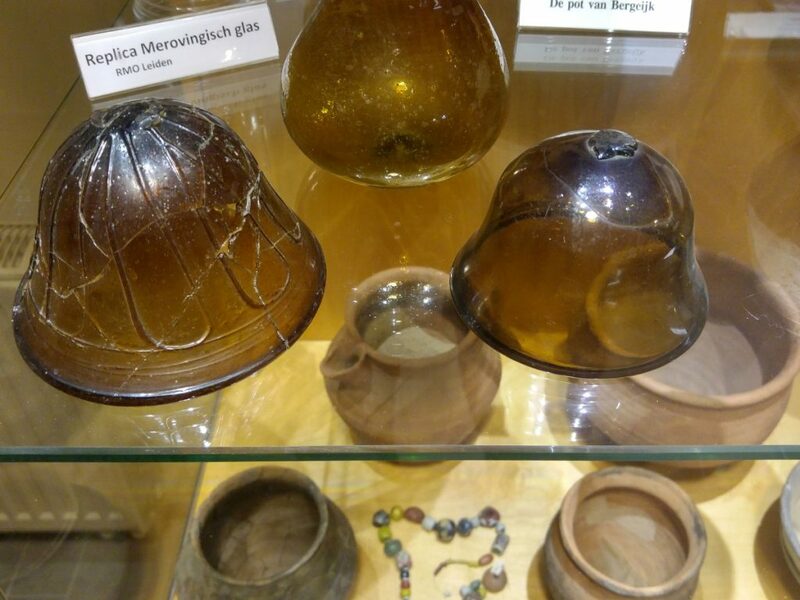 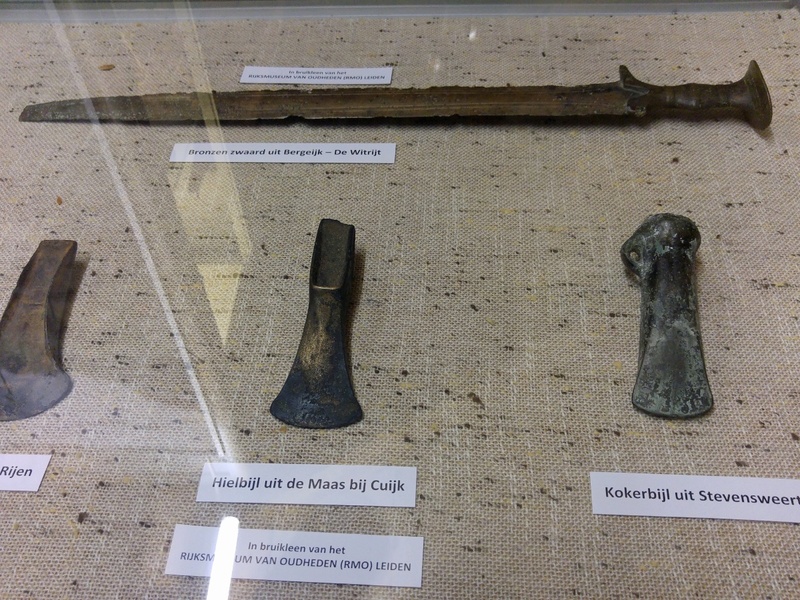 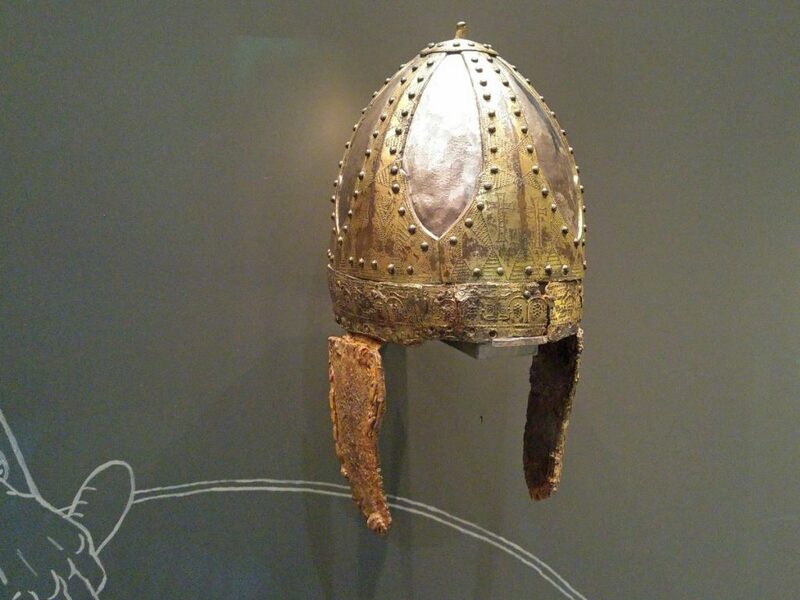 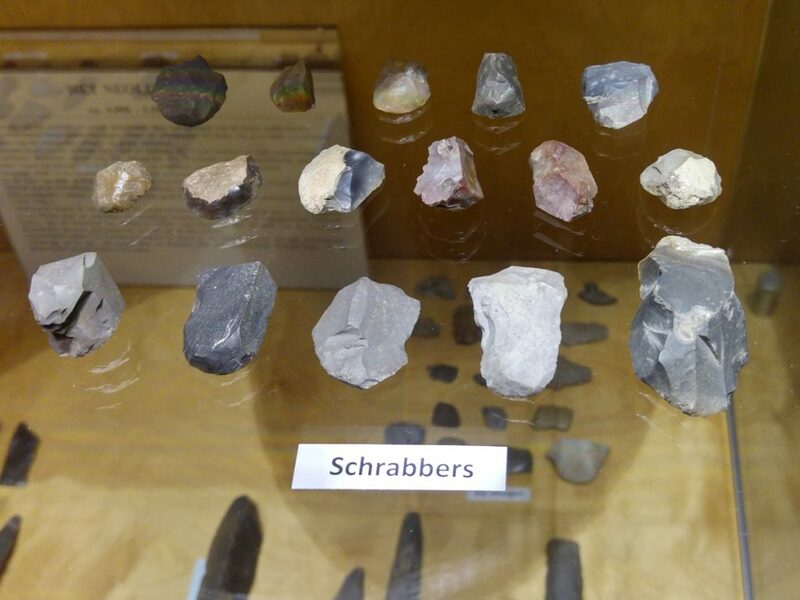 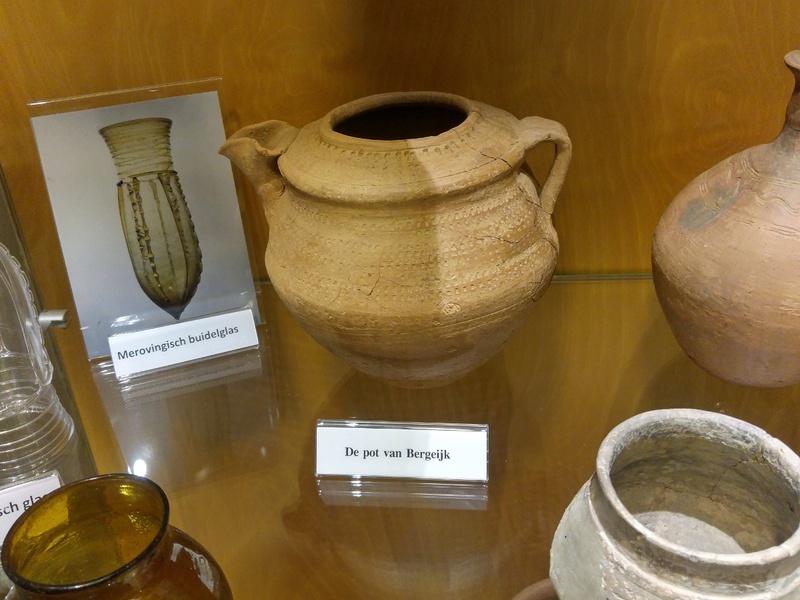 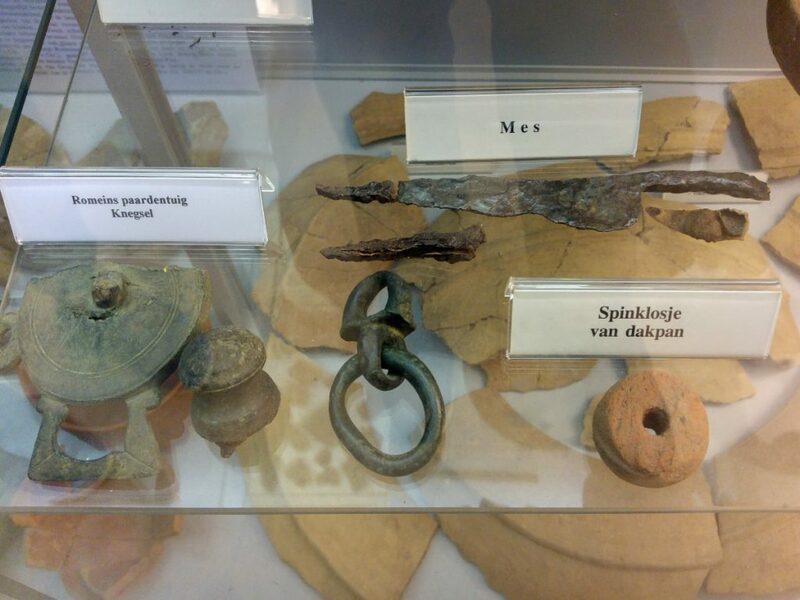 A small museum, located in the southern part of the Netherlands, displays some artefacts of the long history of the region. 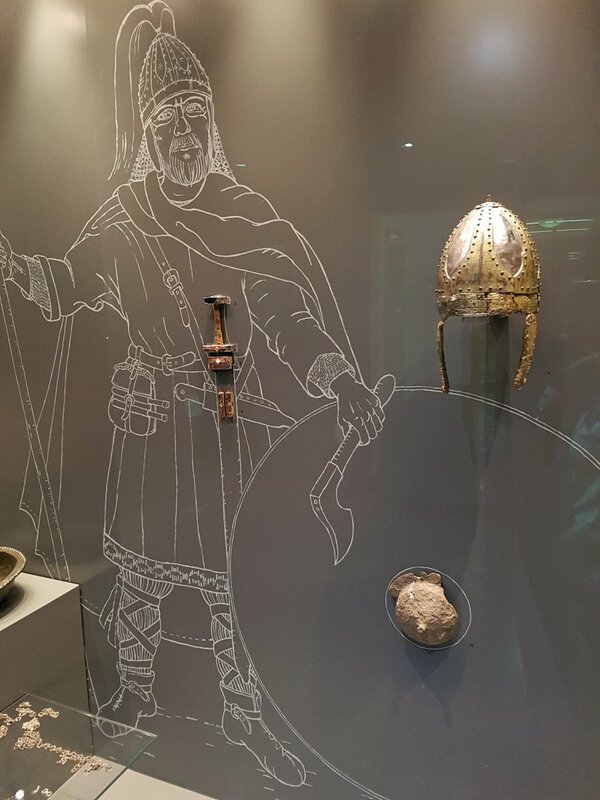 From neolitic, Celt, Roman to Medieval. 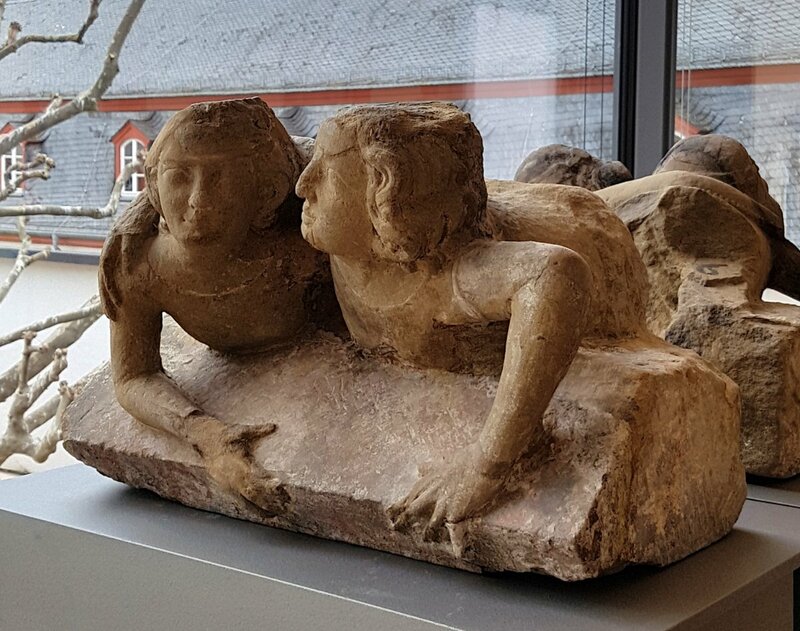 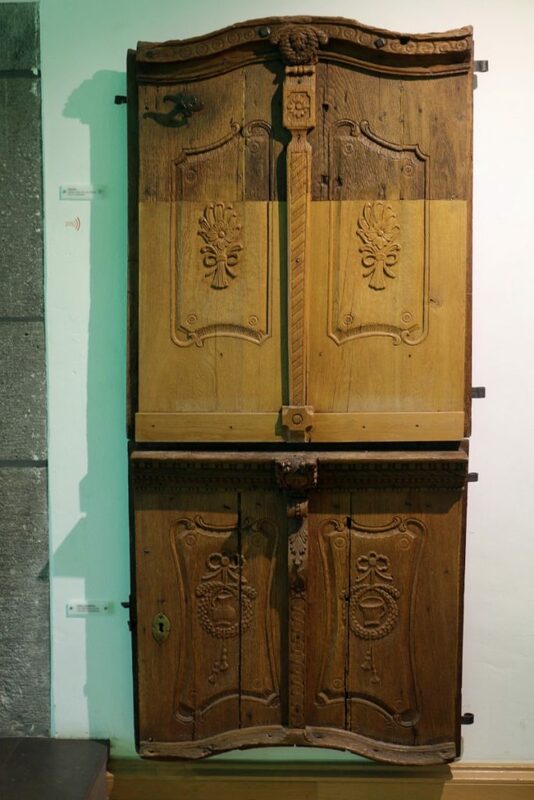 Due to its superb collection as the only museum of cultural history in the Rhineland, the LVR-LandesMuseum shows the development of the region from its beginnings to the present day. 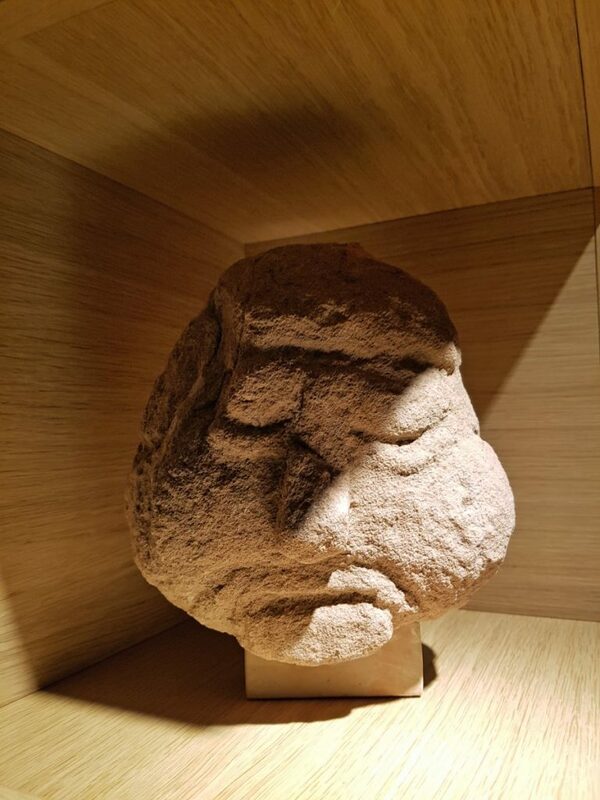 In the permanent exhibition, the visitor is greeted with an eventful journey through time, from the Stone Age up to today. 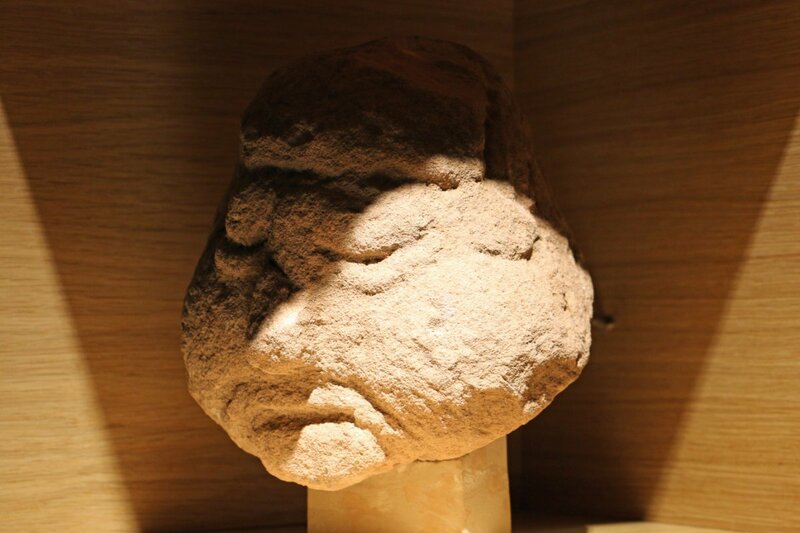 Not only is the world-famous original Neanderthal man (40,000 years B.C.) 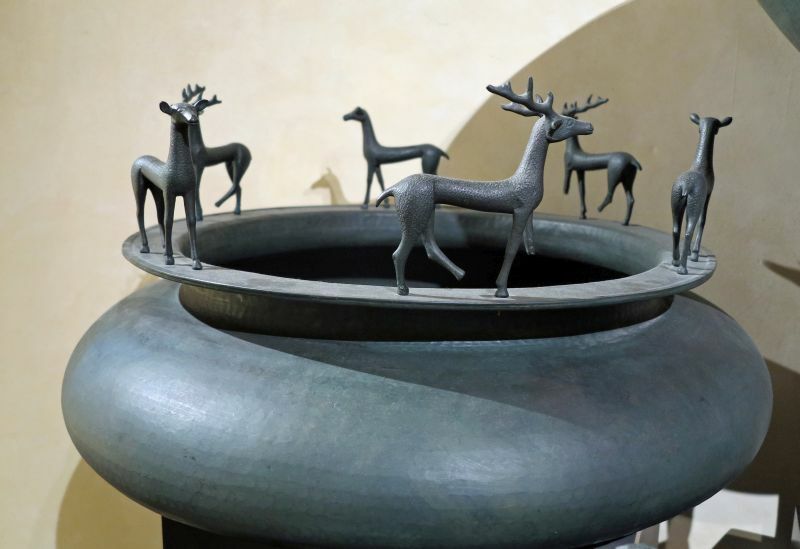 on display here, but also the world’s largest Neolithic well. 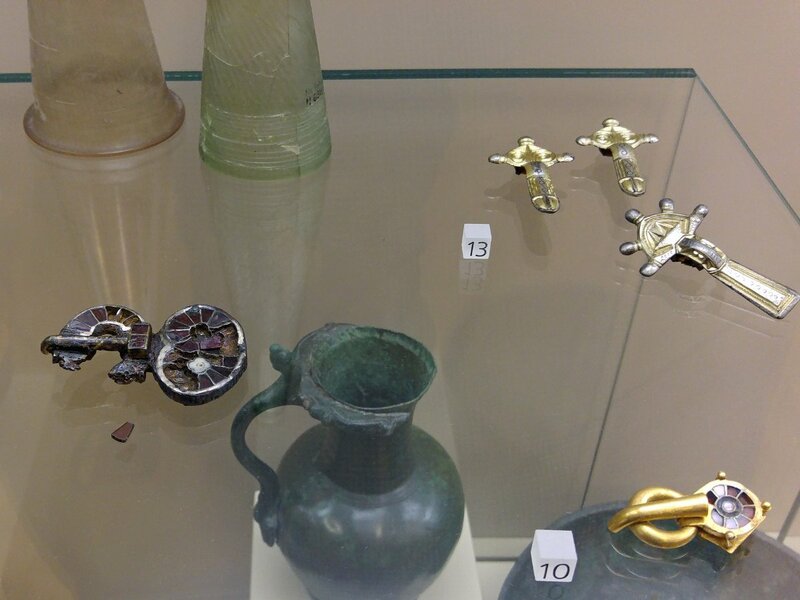 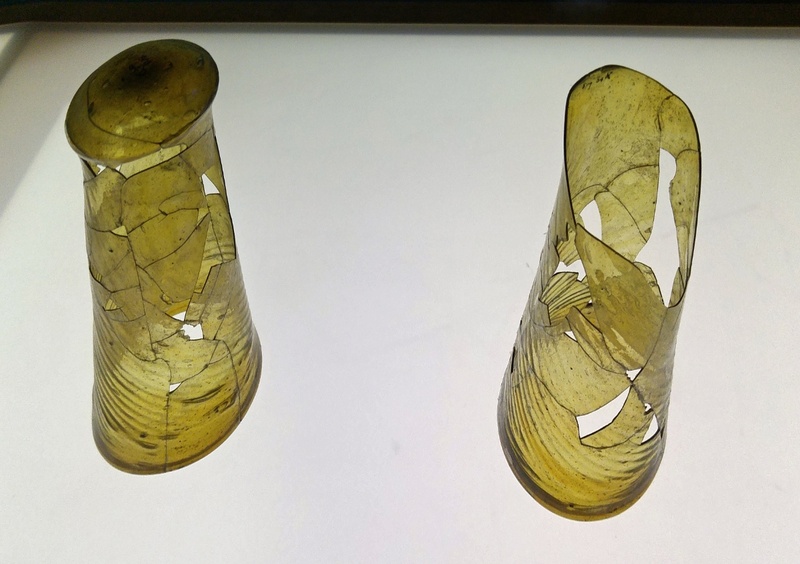 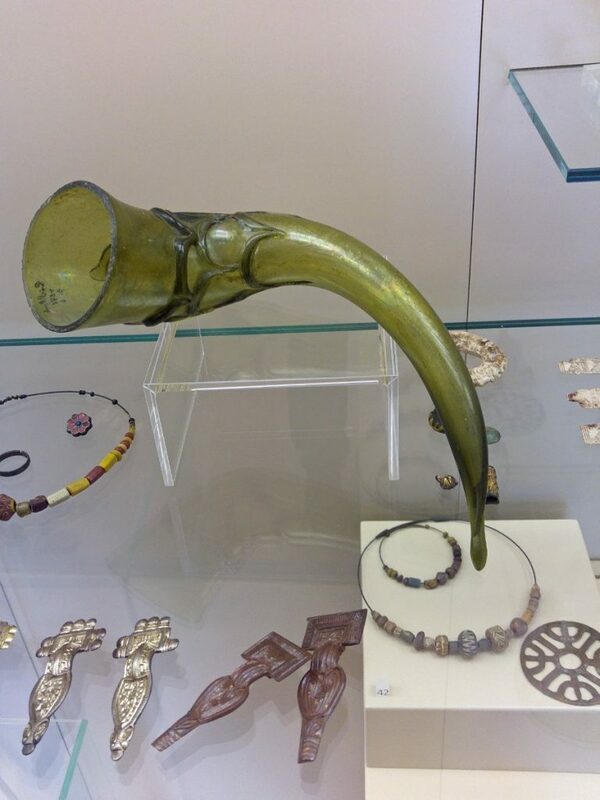 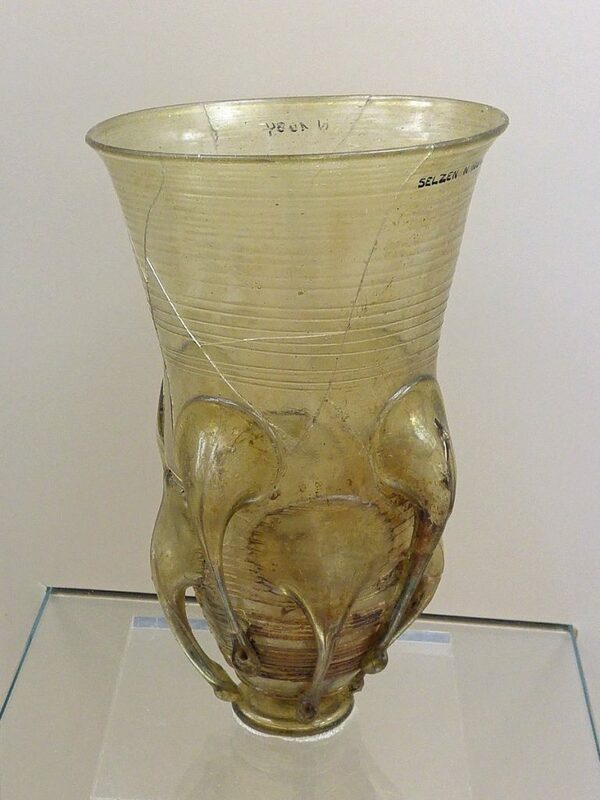 Further highlights are the Fritzdorf gold beaker from the Bronze Age, the Pfalzfeld Column dating from Celtic times, and a treasure that had once belonged to a Celtic princess from Waldalgesheim. 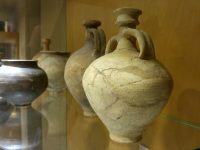 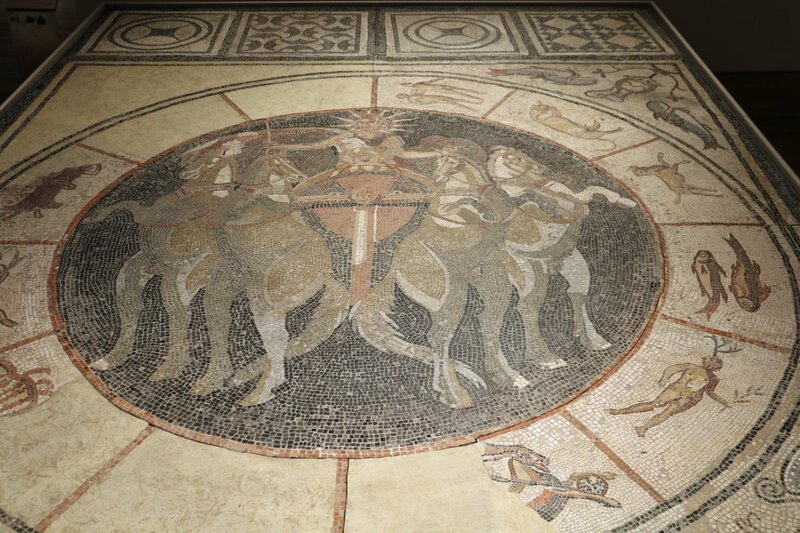 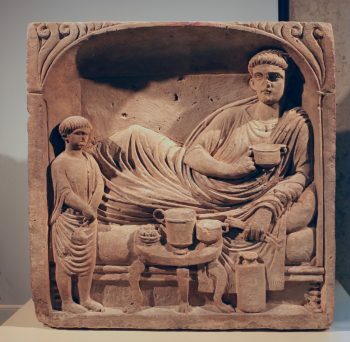 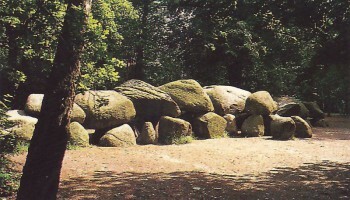 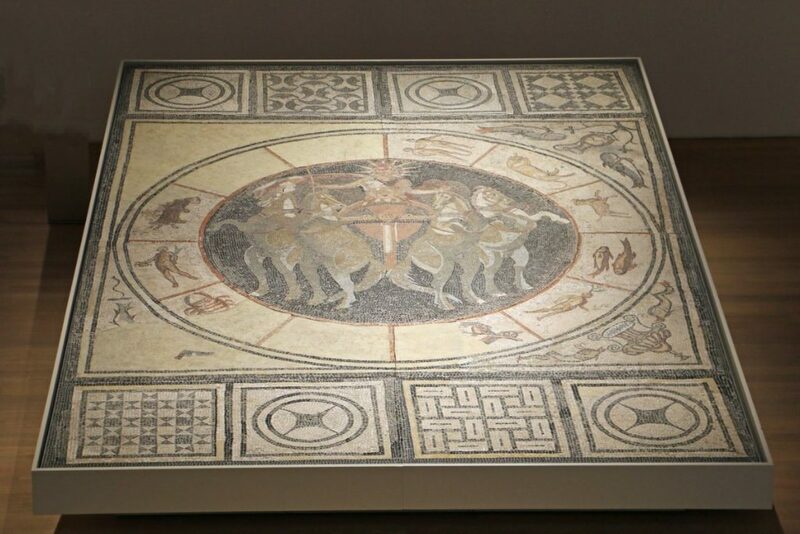 Roman times may be discovered in one of the best Roman provincial collections in all of Germany. 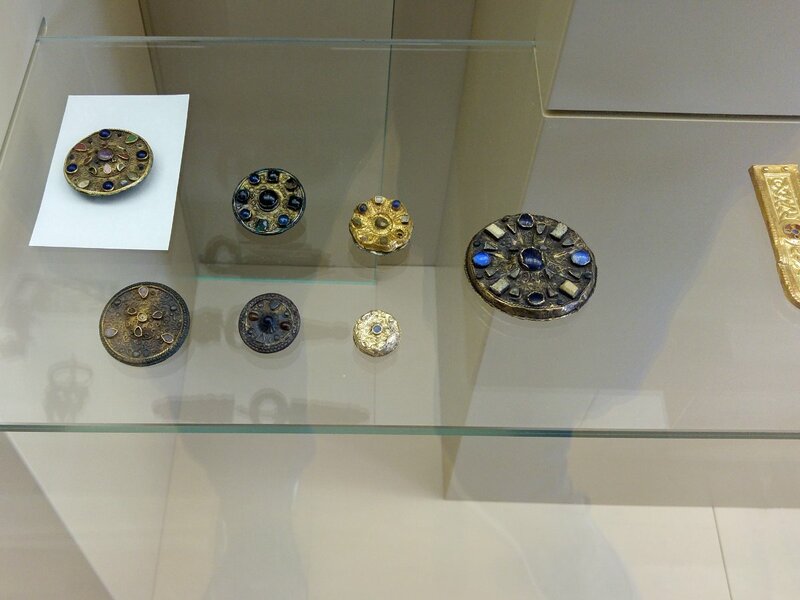 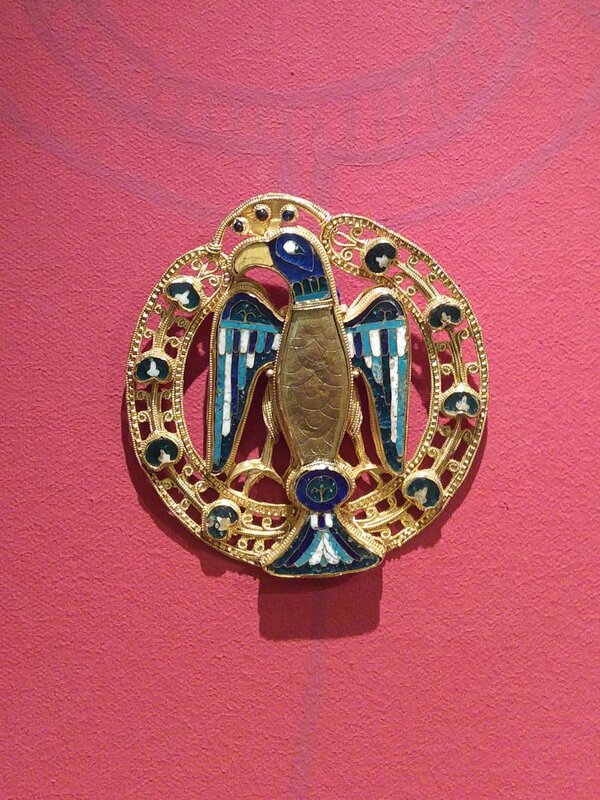 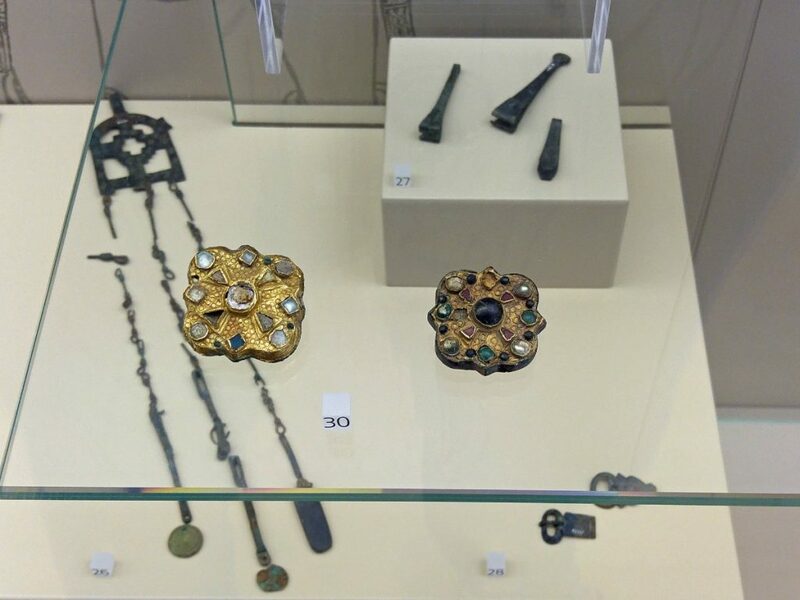 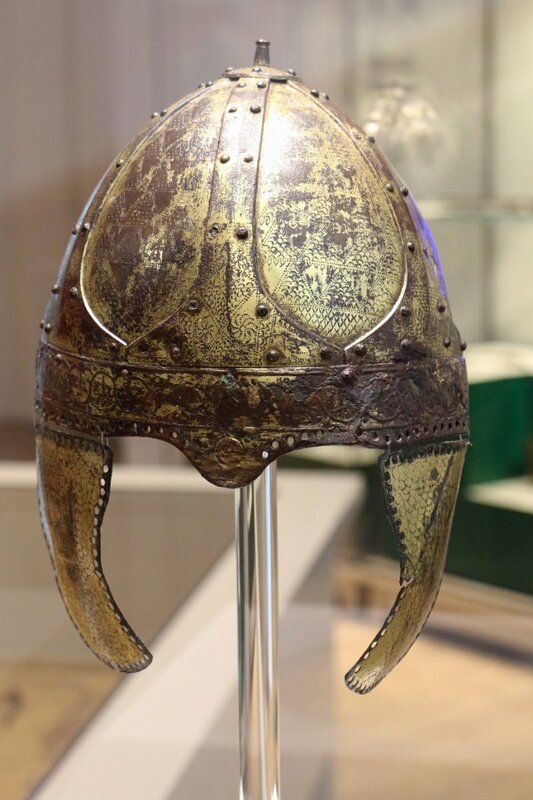 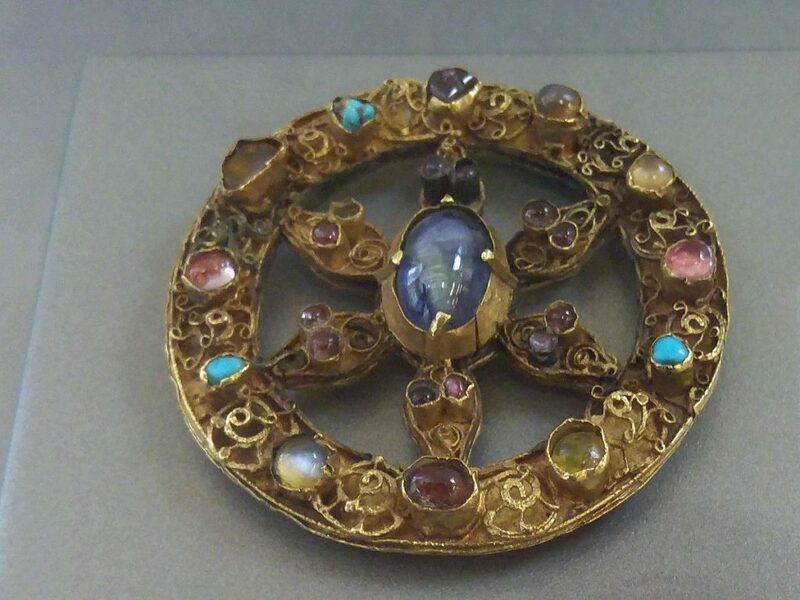 Highlights from Frankish times are the splendid grave of the Lord von Morken and what is most likely the best collection of Frankish gold disc fibulae clasps in all of Europe. 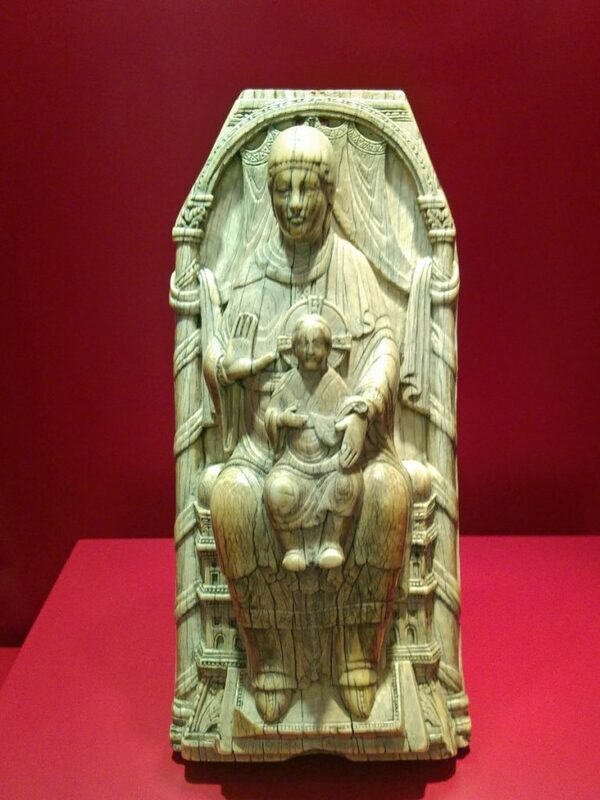 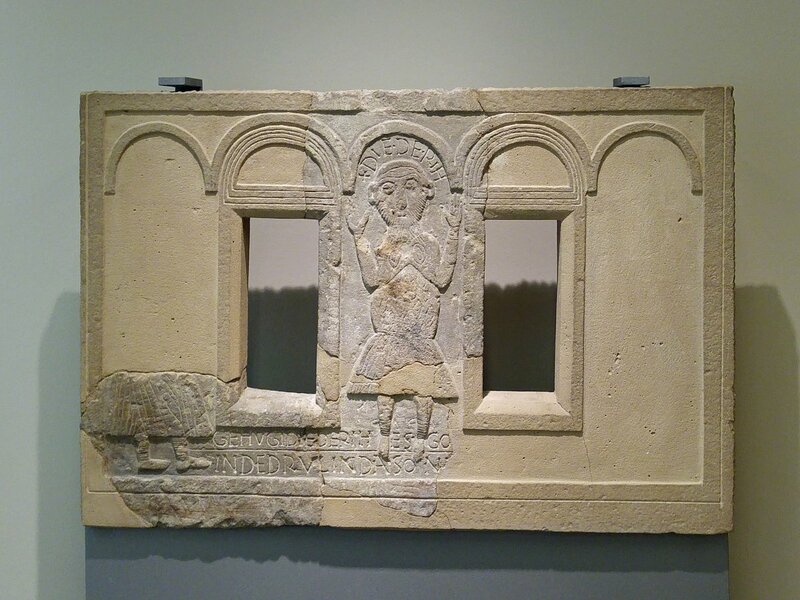 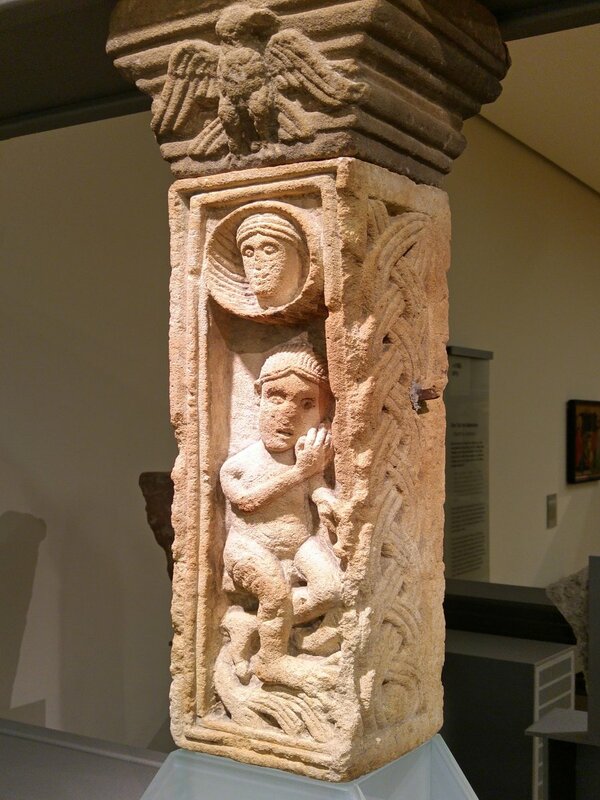 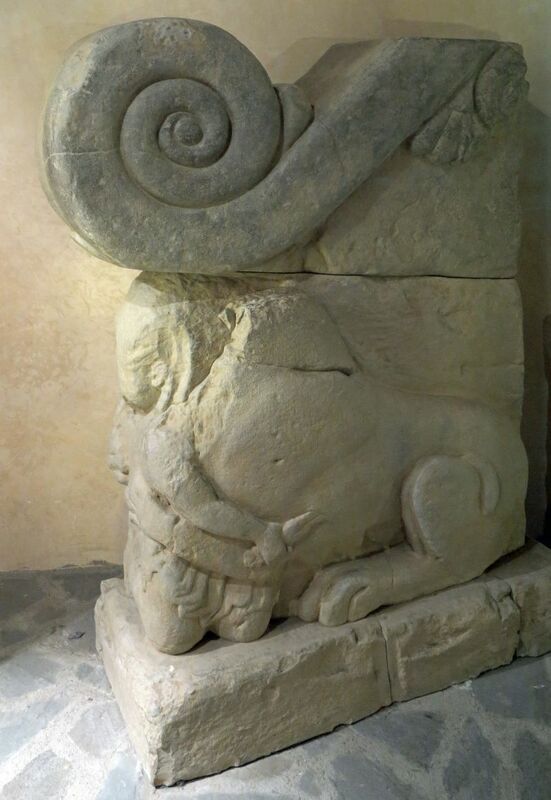 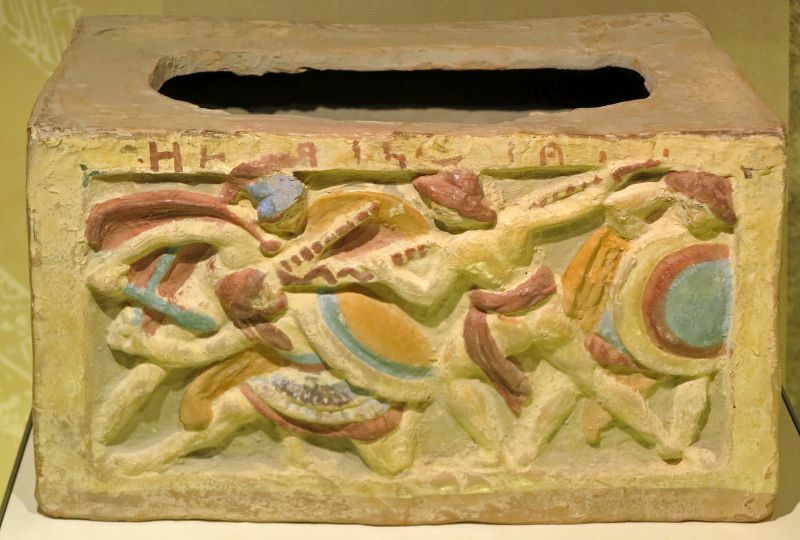 A zenith in art of the 12th century, the Romanesque sculpture frieze from Gustorf brings us into Christian Europe. 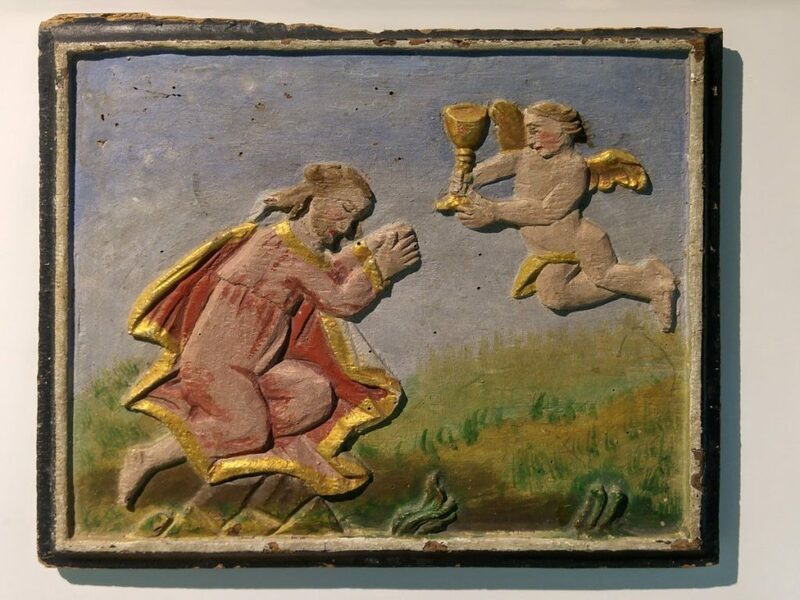 Landscape painting from the Renaissance to well into the 19th century is a further emphasis in the collection. 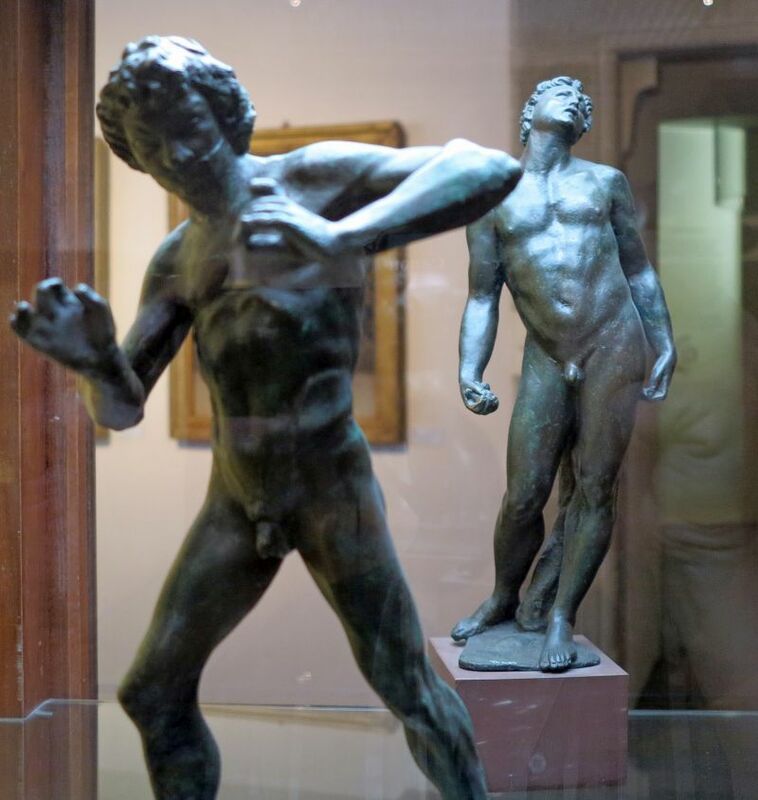 Modern painting from Expressionism and the New Objectivity, by way of Informel, and up to recent contemporary art round out what all the museum has to offer. 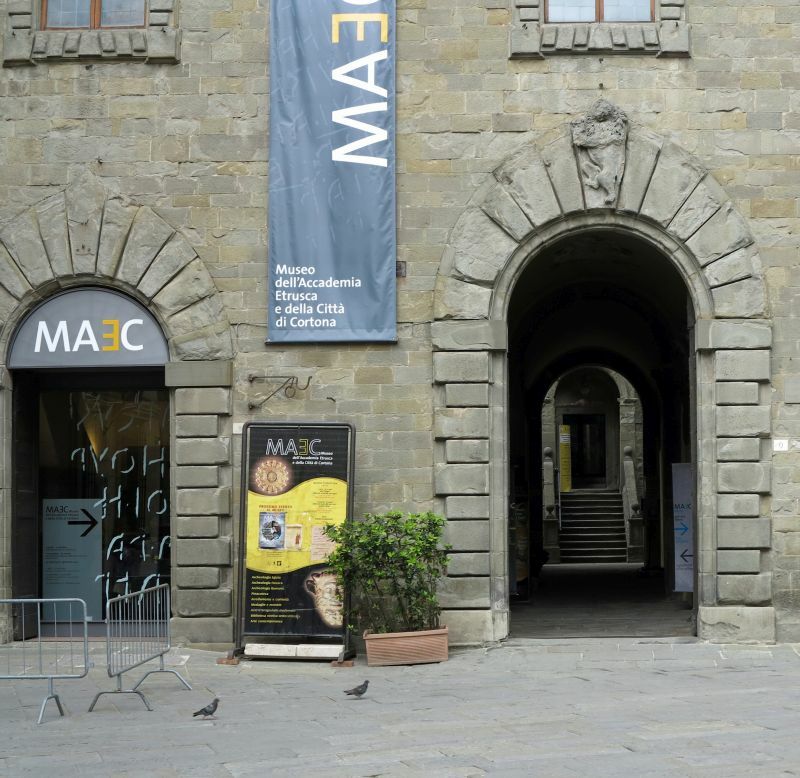 The important Photograph Collection and Department of Prints and Drawings are introduced with ever new thematic emphases. 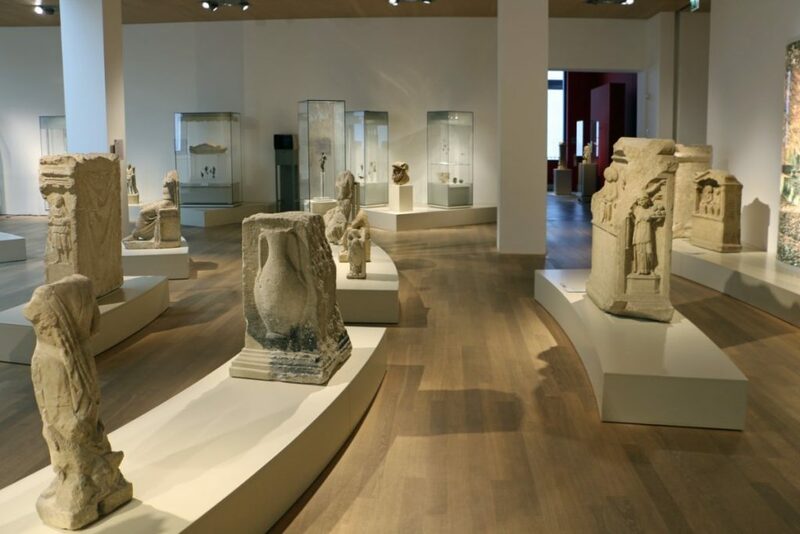 The LVR-LandesMuseum presents its important holdings with seven thematic tours ranging from the Stone Age to the Present Day. 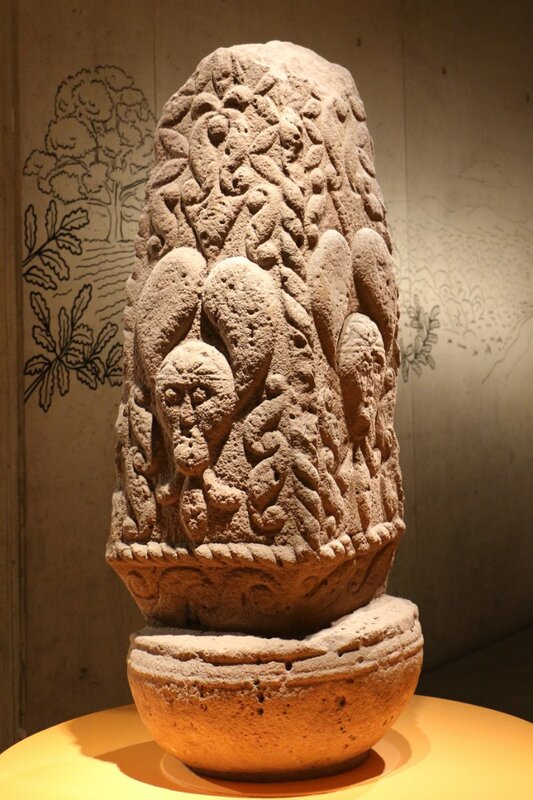 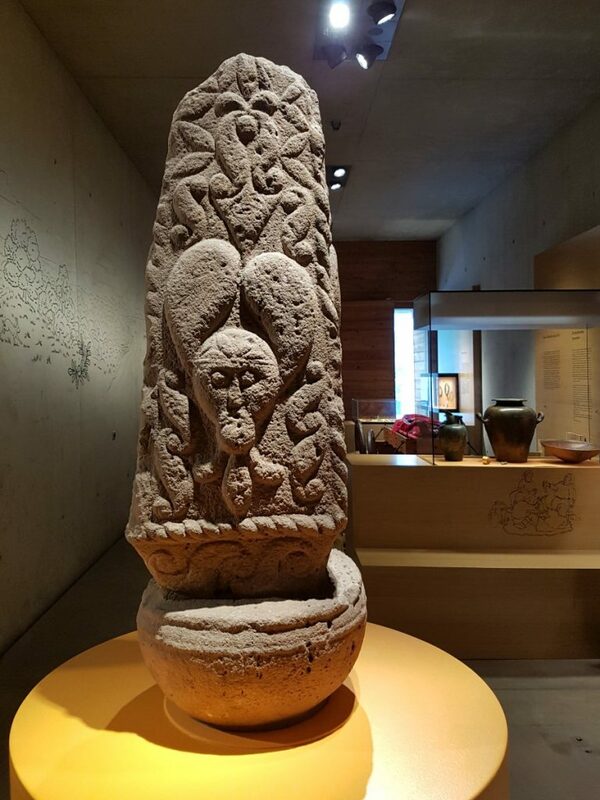 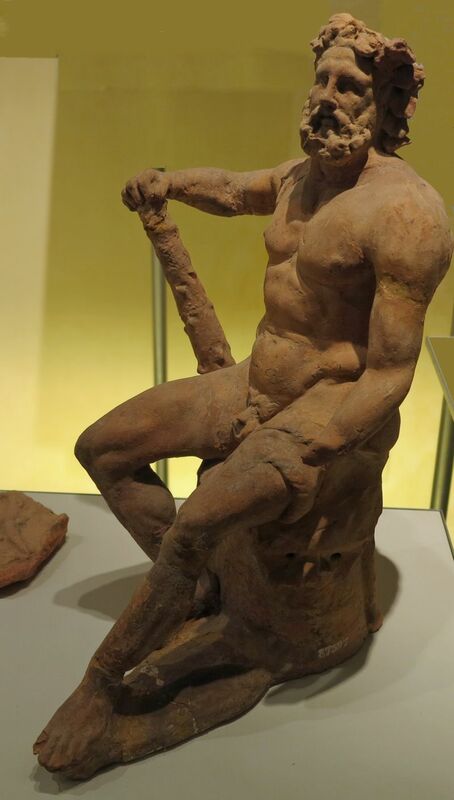 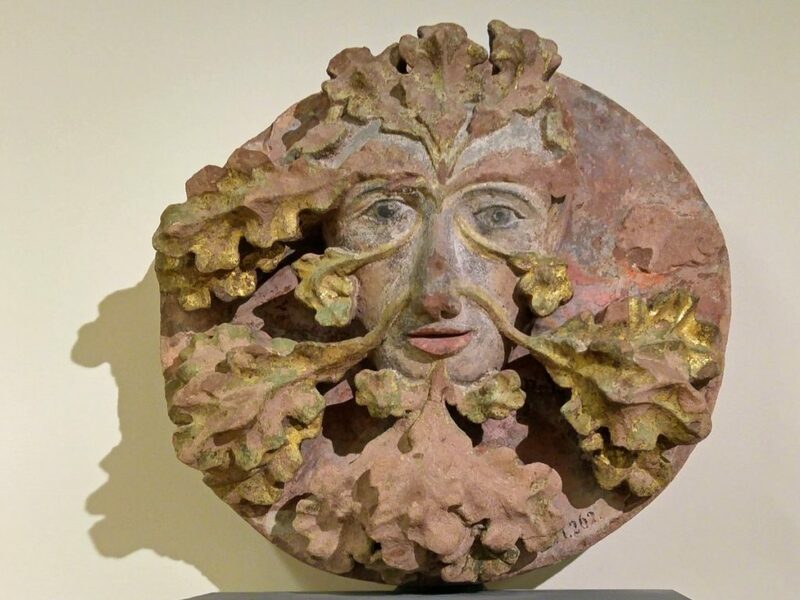 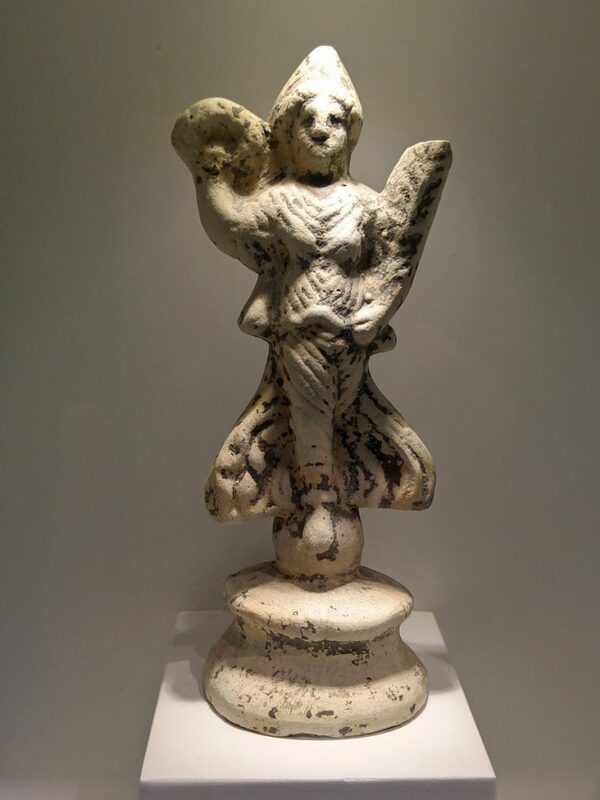 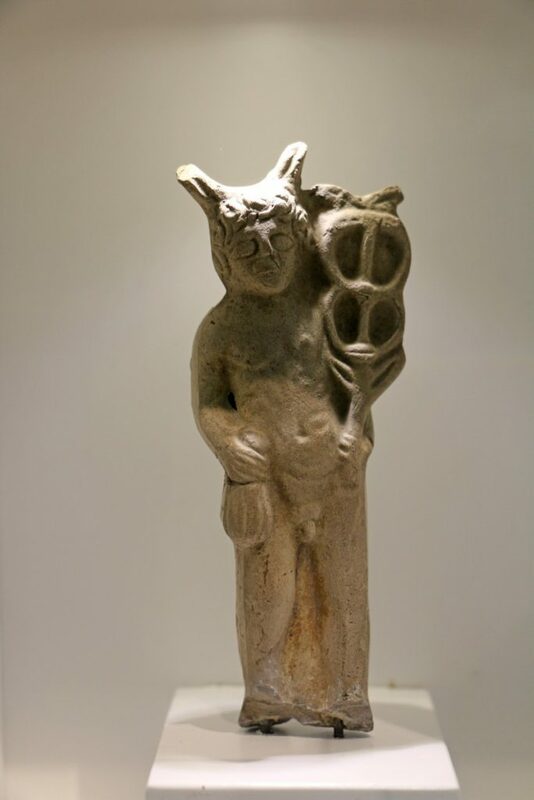 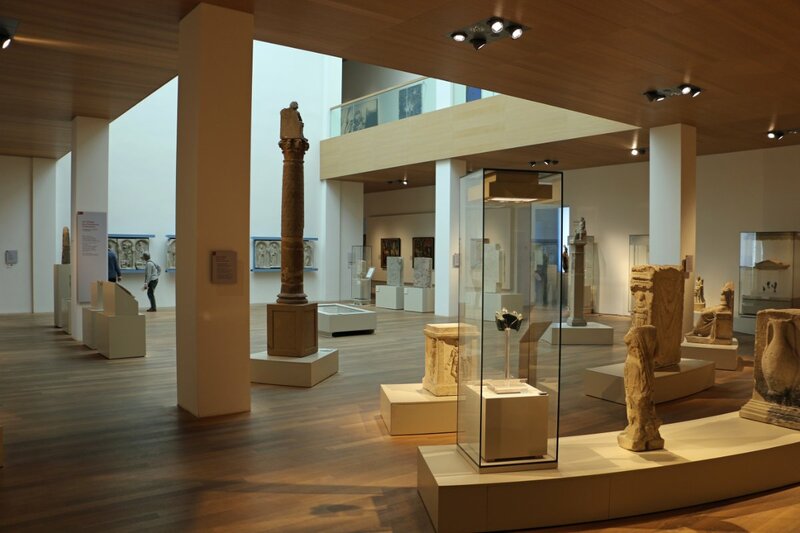 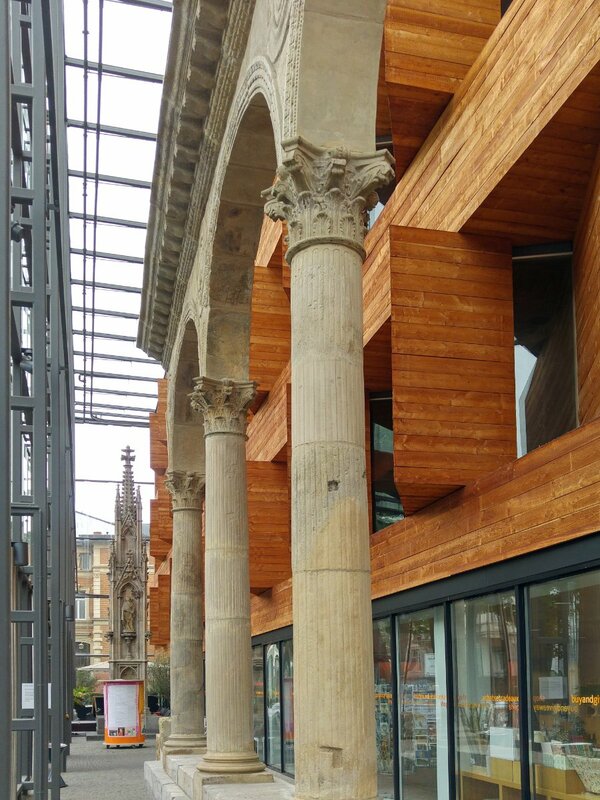 Antiquities from the Mainz area, including a Venus-like statue from 23,000 BC; stone axes from the Late Stone Age; Roman stone memorials; busts of bronze and marble; a 1st-century Roman Jupiter Column; a 3rd-century Roman arch. 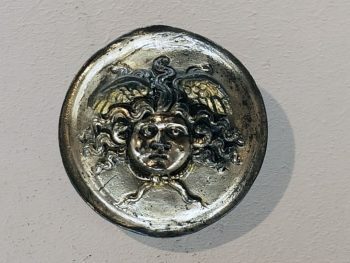 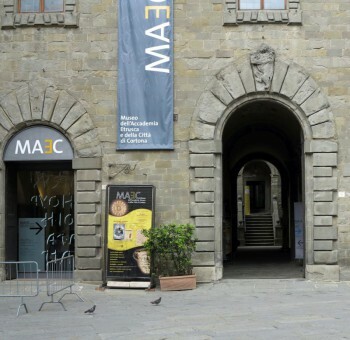 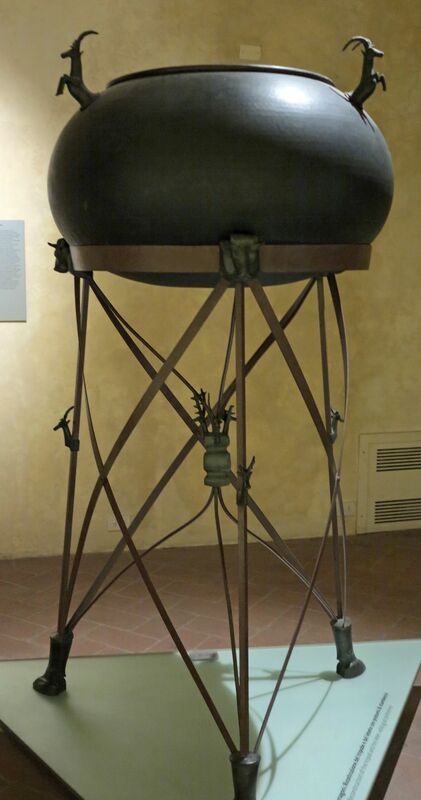 MAEC’s history stretches back to 1727 when the Accademia Etrusca (Etruscan Academy) was founded; the academy’s statutory goals included the dissemination of historical and artistic culture through key-tools such as the Library and the Museum both of which were public right from the earliest stages; over the past three centuries the Museum has undergone extraordinary development all the way to its final re-arrangement in 2008 The museum currently consists of two main sections respectively devoted to the Accademia Etrusca and the Etruscan and Roman city of Cortona; the former section accommodates materials providing a unique testimony to the life and continuing efforts of the best known cultural institution in town; such materials range from the earliest bequests from academicians in the 1700 and 1800s to materials acquired over the centuries: the most valuable pieces – real “symbols” of the Cortonese culture – include the Etruscan bronze lamp, the so-called Musa Polimnia, a fine collection of Etruscan and Roman ceramics and bronzes as well as the Corbelli collection including materials from the Egyptian civilization; more recent materials include an imposing collection of art objects and furnishings formerly owned by the Tommasi-Baldelli family, one of the most prominent families in town, as well as a series of works by Cortona-born painter Gino Severini, one of the founders of Futurism, bequeathed to the town of Cortona by the Maestro himself. 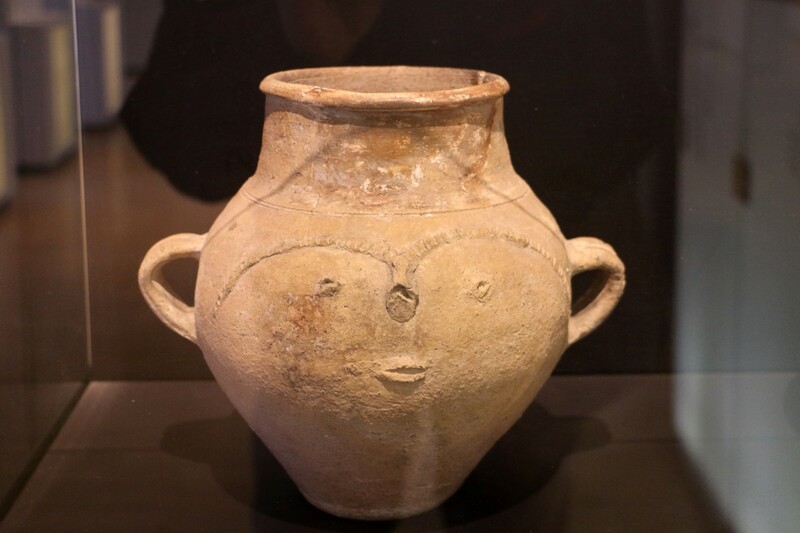 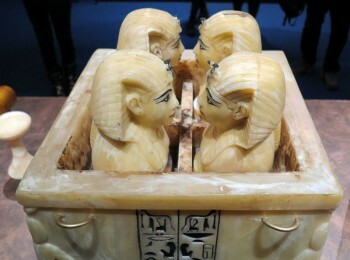 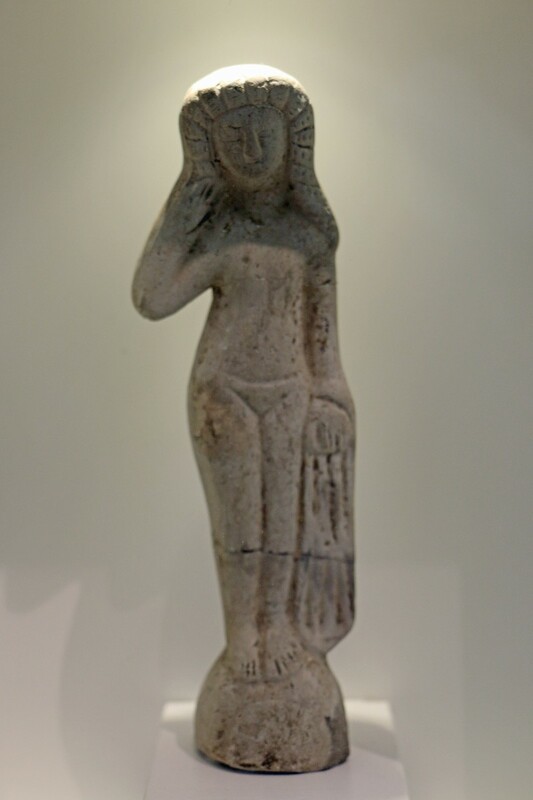 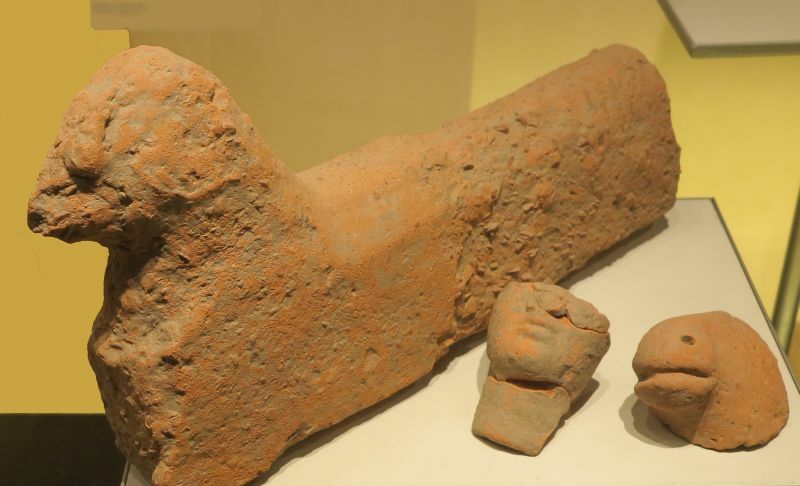 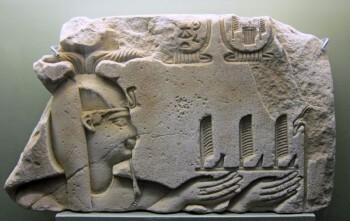 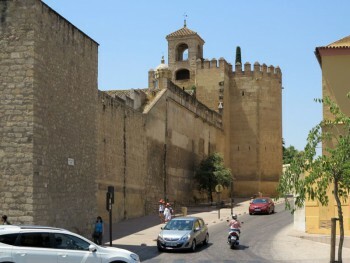 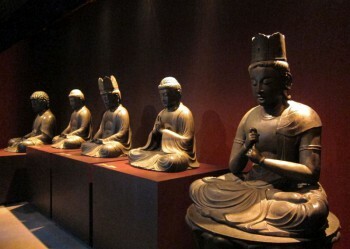 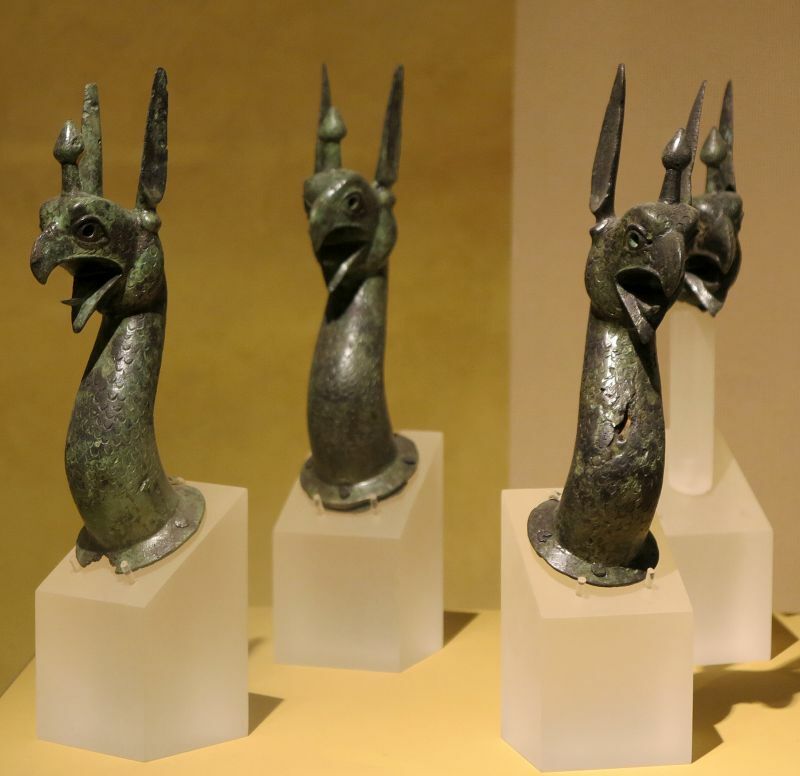 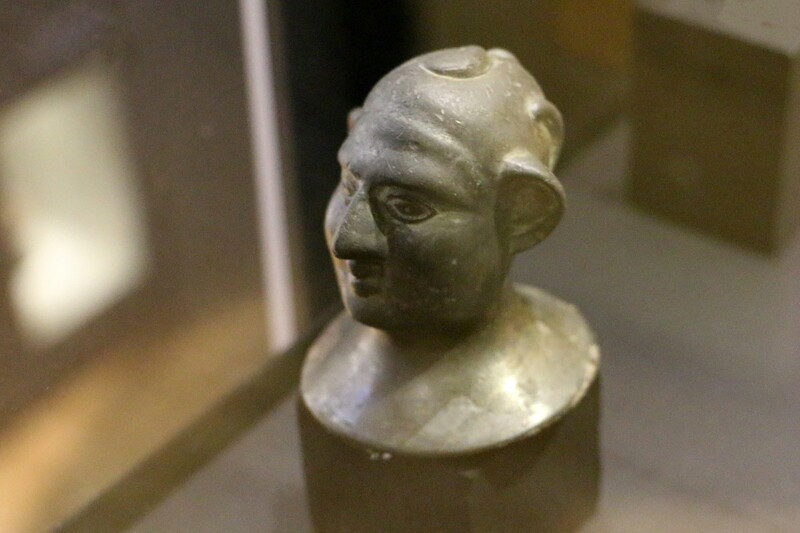 Other exhibits include archaeological finds from the city and its surroundings providing a link to the modern section devoted to the development of the latter. 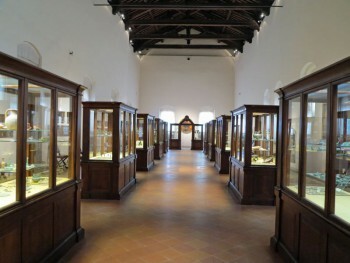 After a first room providing an insight into local paleontology the subsequent rooms house orientalizing and archaic grave-goods from burials in the Valle Tiberina and the Valdichiana, at the edge of the Cortona sphere of influence, and, remarkably, valuable finds from Etruscan burials located in the close surroundings of Cortona, the so-called “Meloni” of Sodo and Camucia. 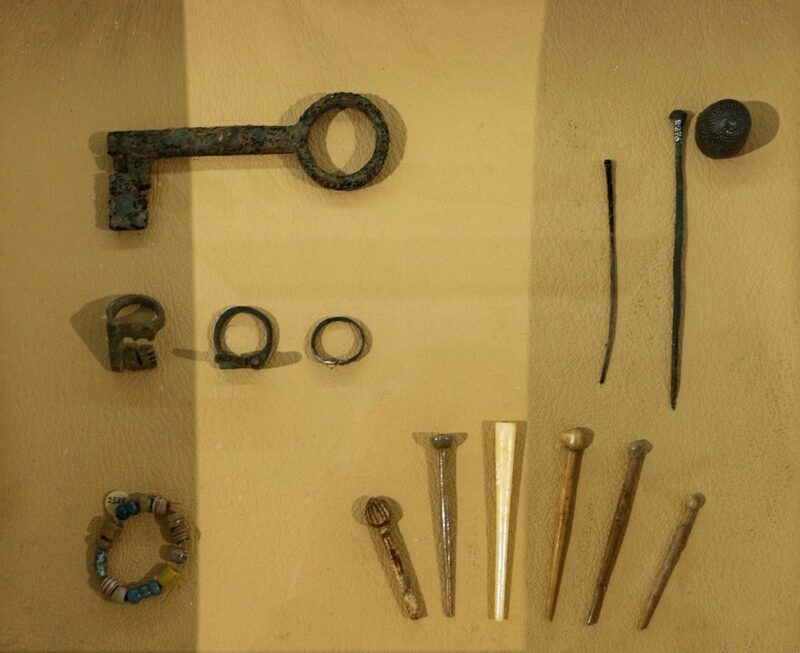 An accurate reconstructive image is provided for all displayed finds including the well-known jewels found in the 1990s as well as sacred structures associated with the cult and burial of the dead. 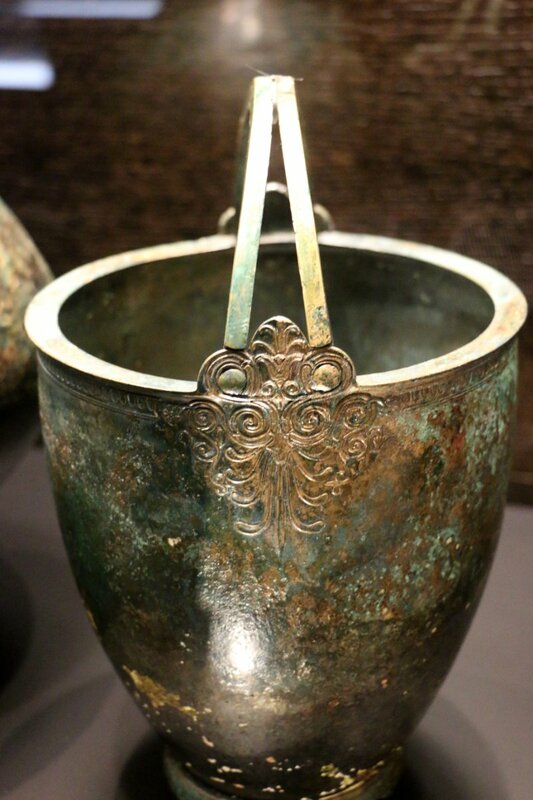 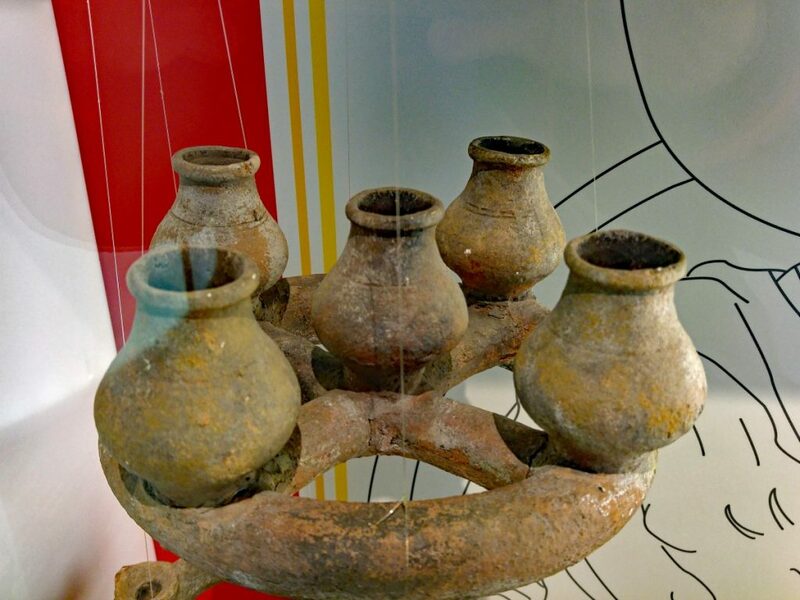 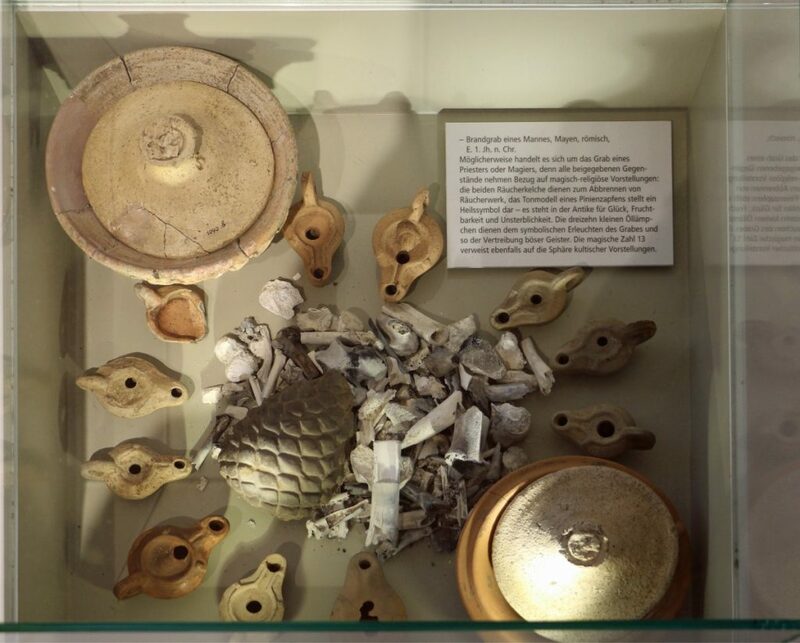 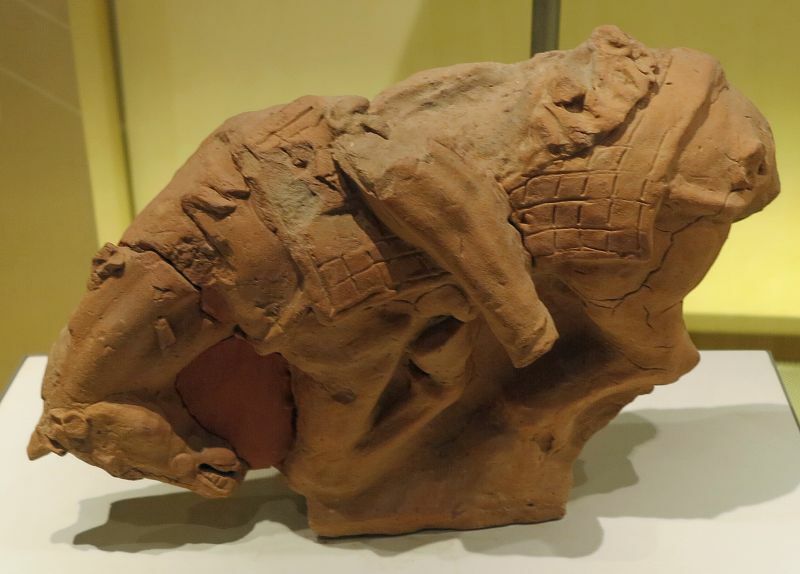 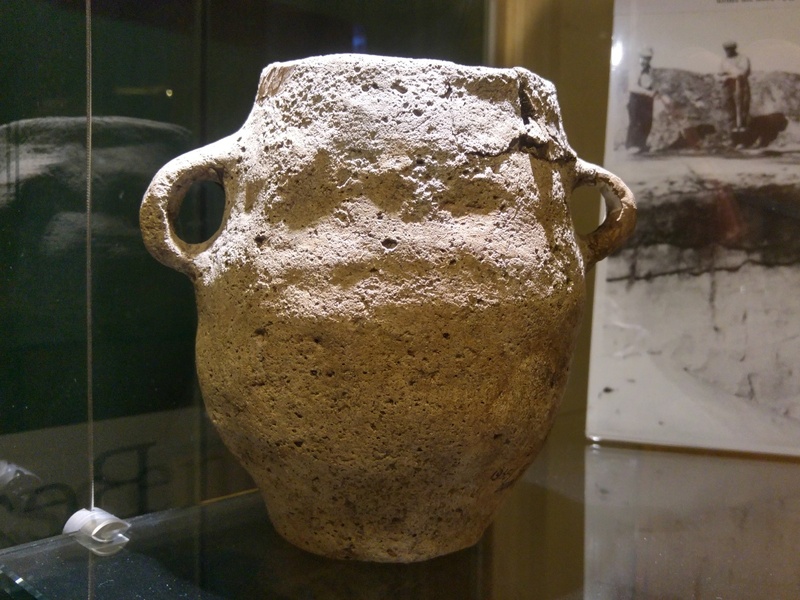 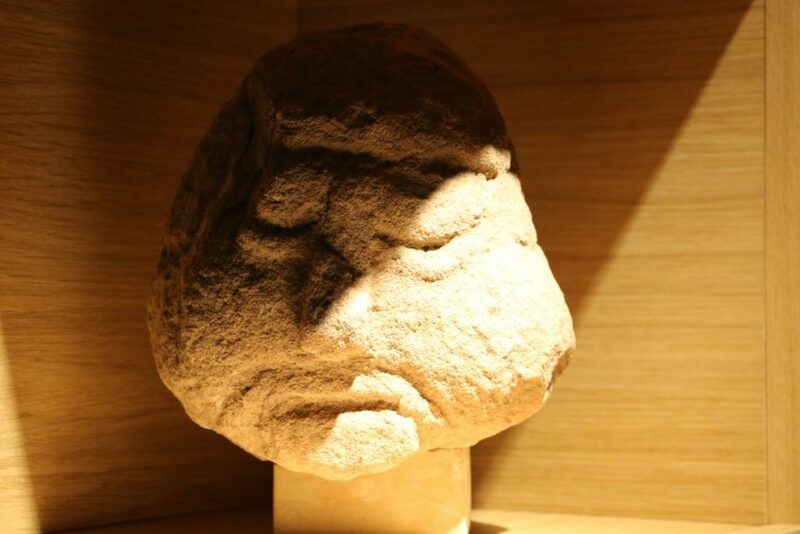 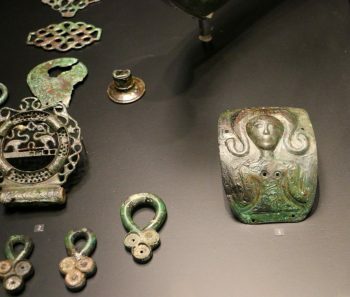 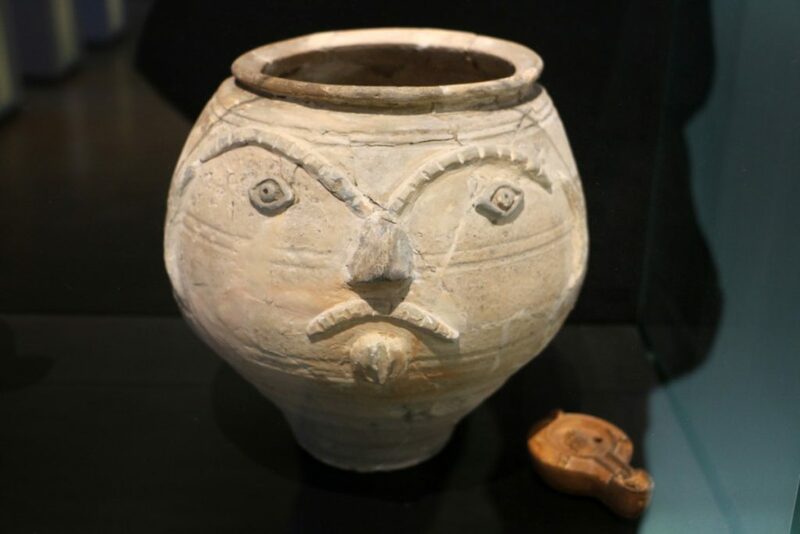 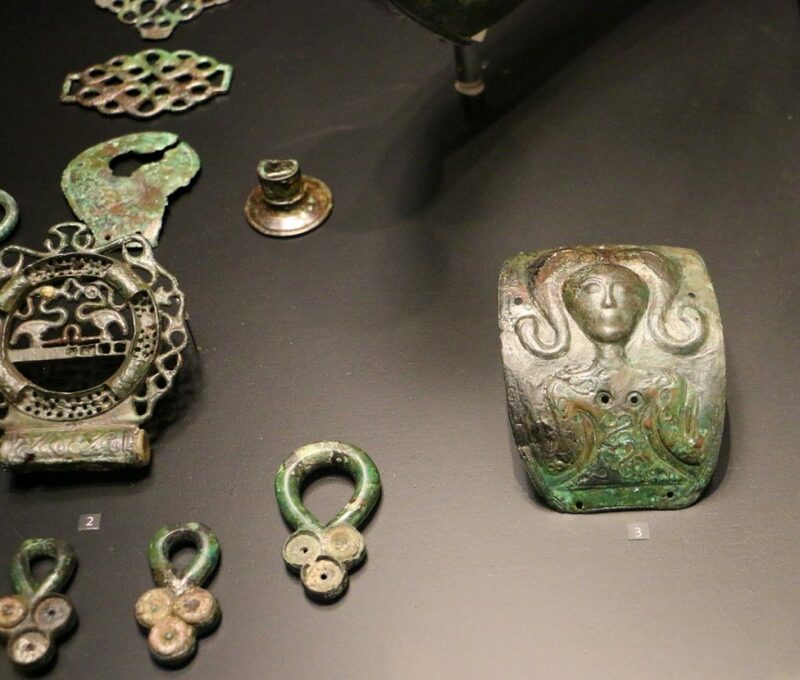 Particularly interesting is the display of grave-goods recently uncovered from a series of orientalizing circular burials affording a new and fascinating insight into the remotest Cortonese history. 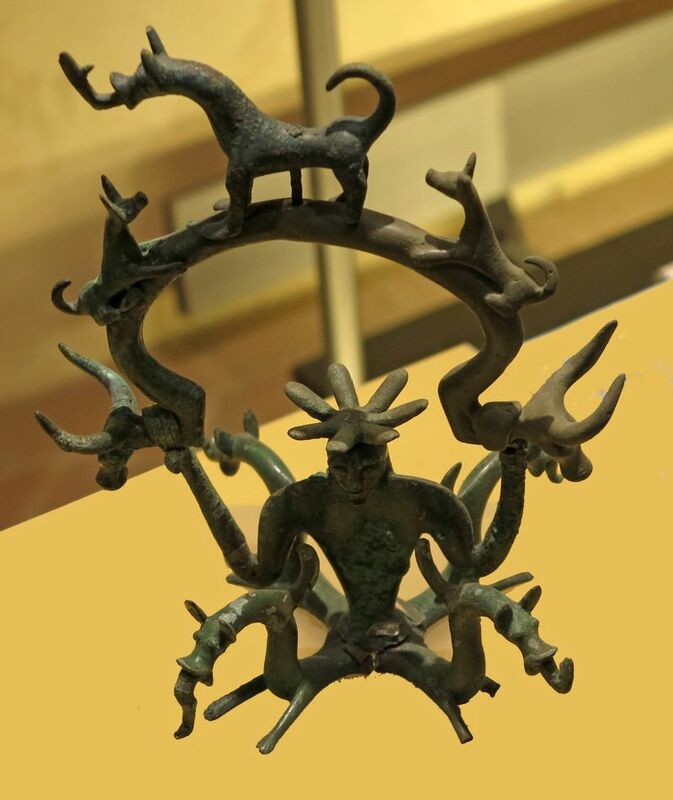 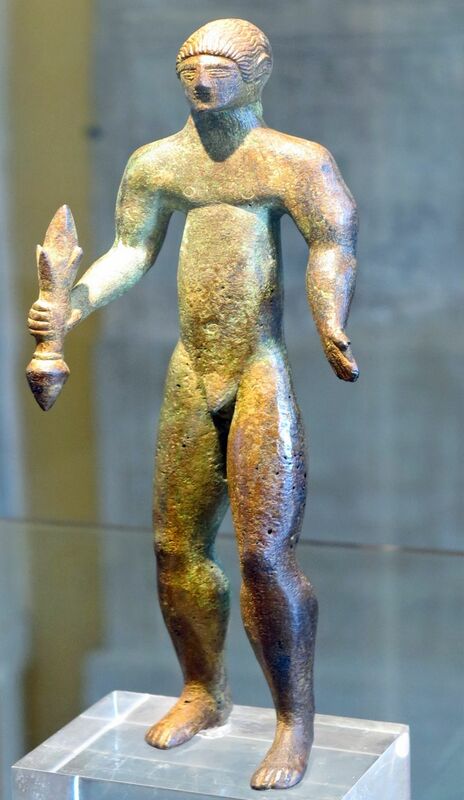 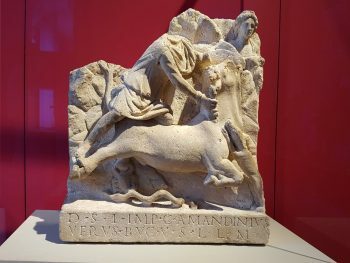 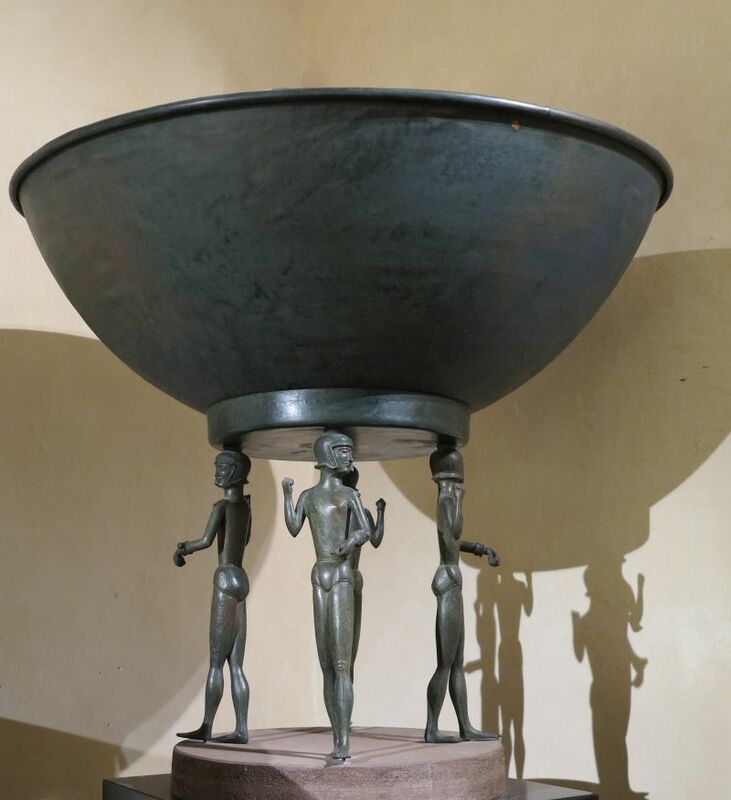 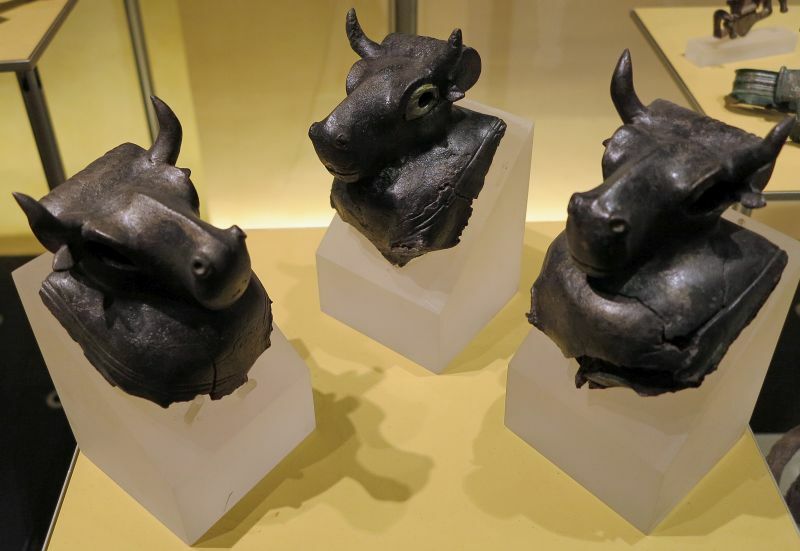 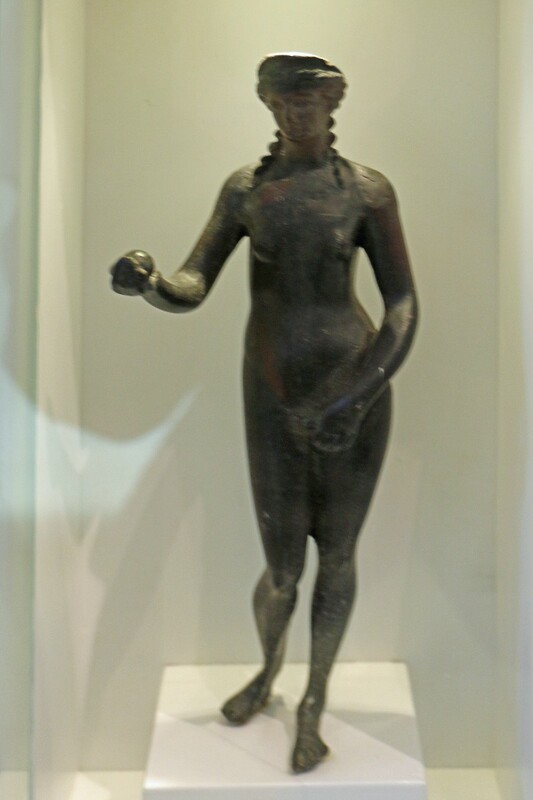 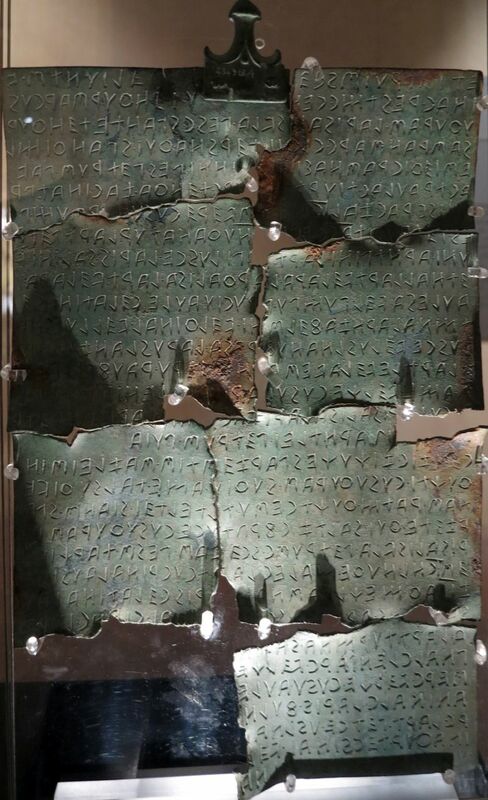 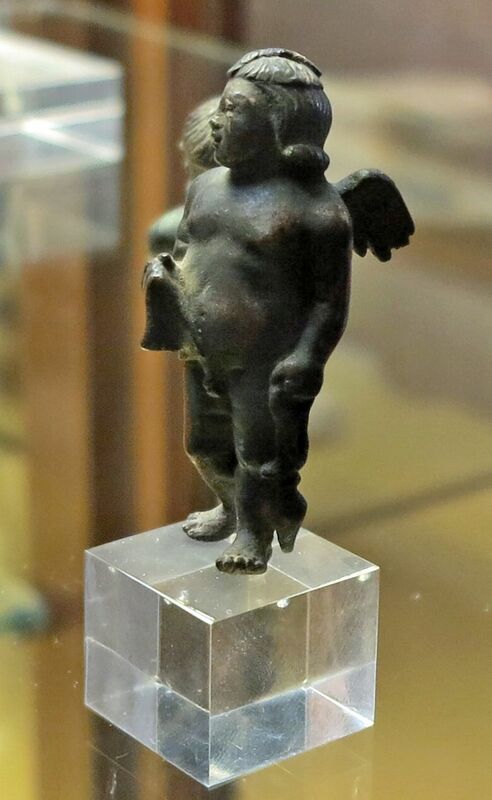 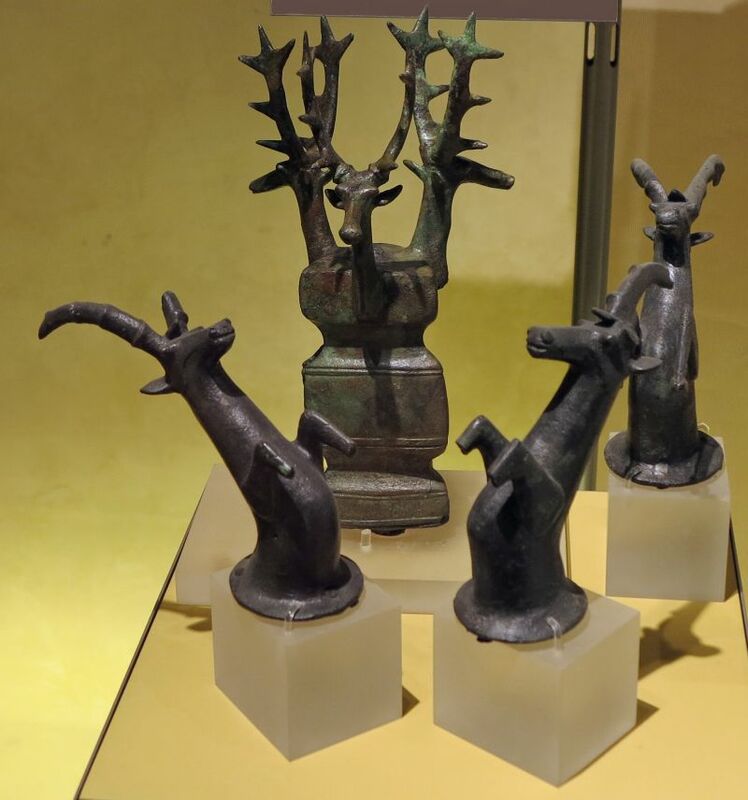 Significant testimony to the town’s great Hellenistic development is provided by a bronze tablet bearing one of the longest known inscriptions in the Etruscan language as well as by finds from suburban sanctuaries and monumental burials. 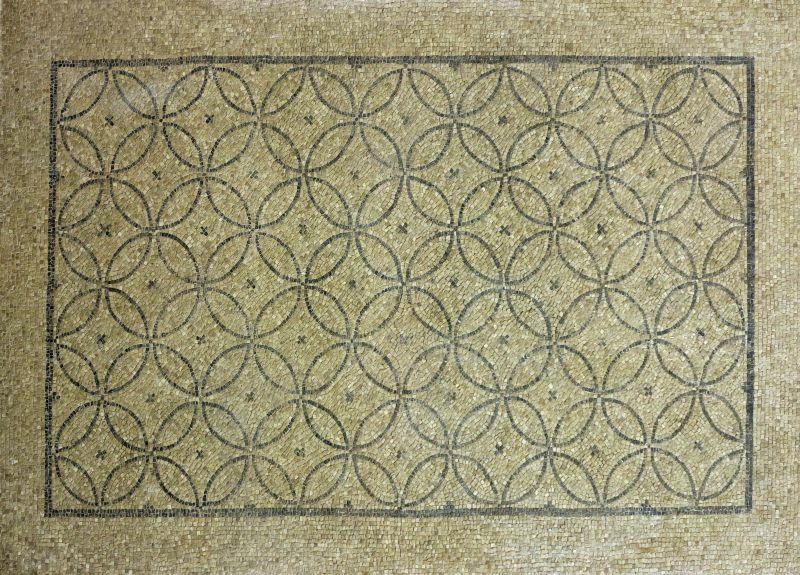 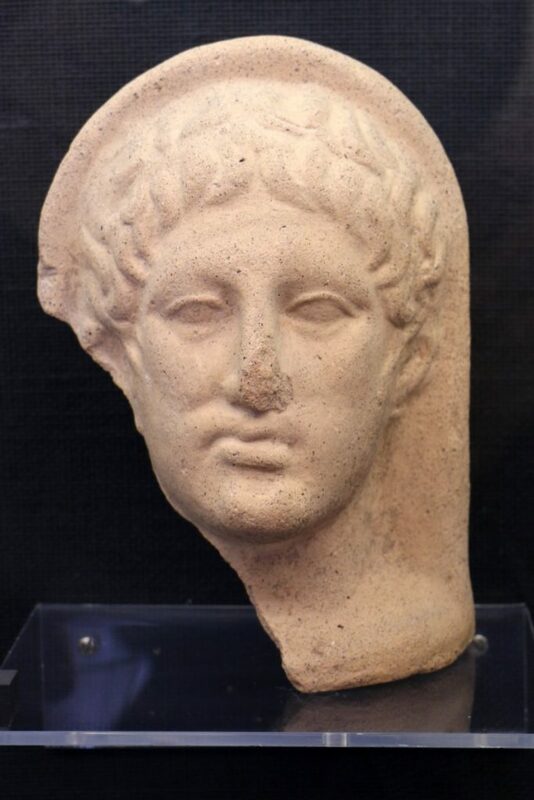 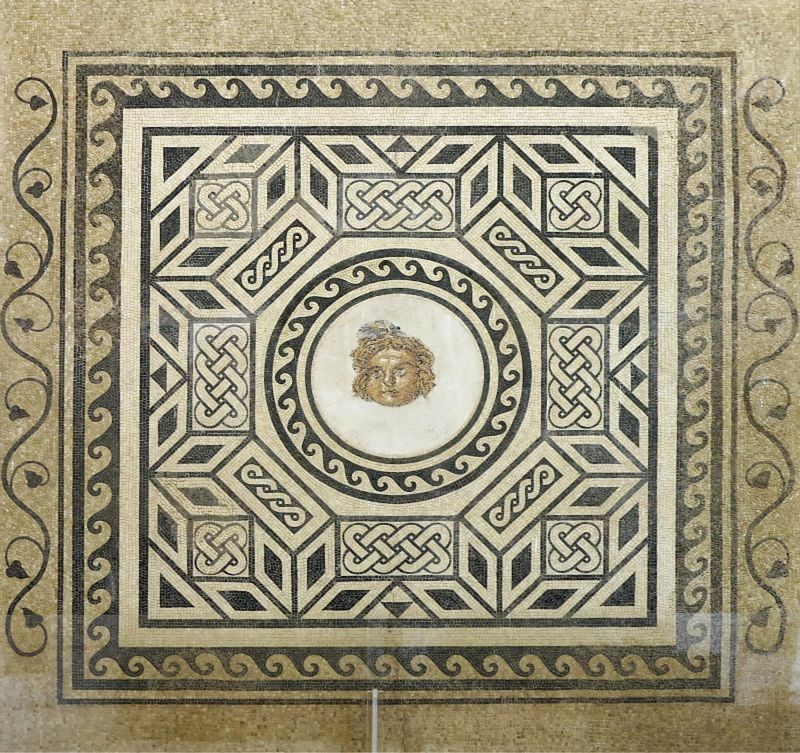 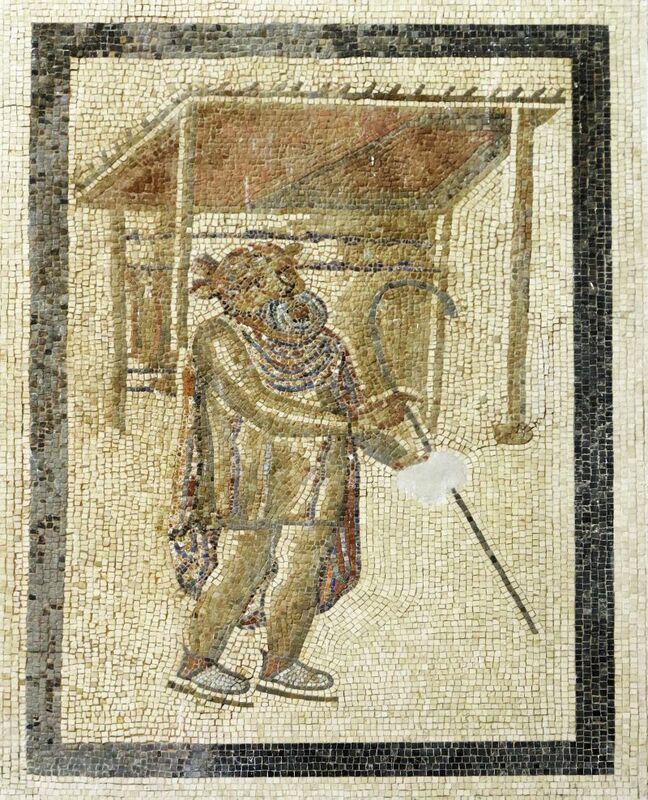 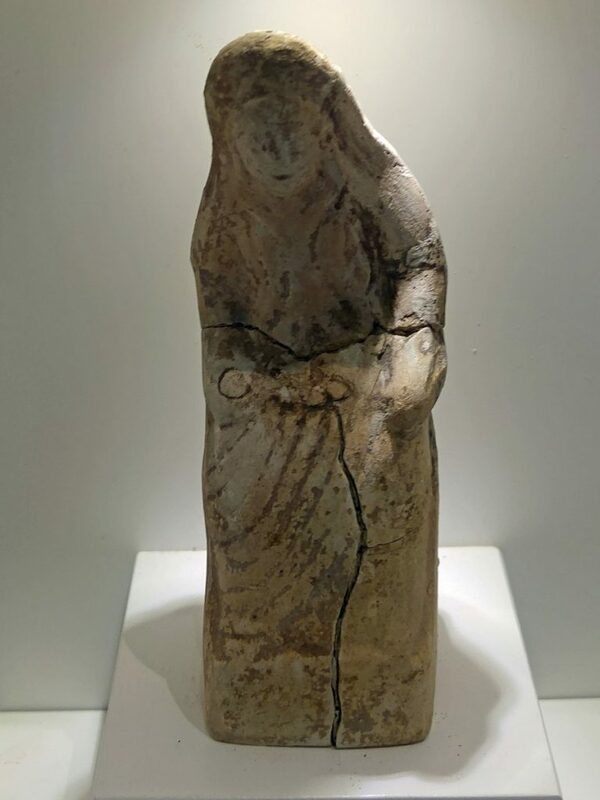 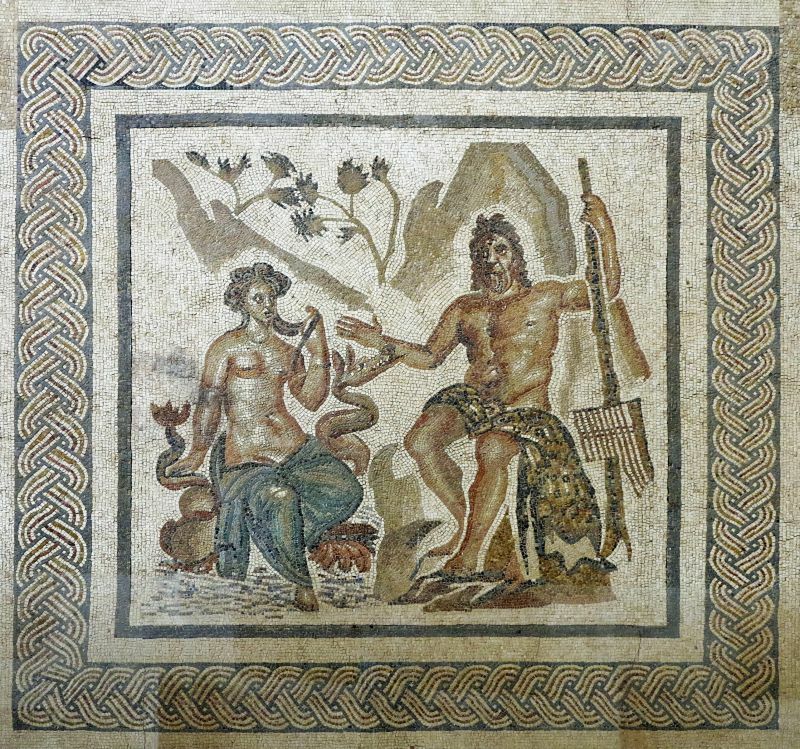 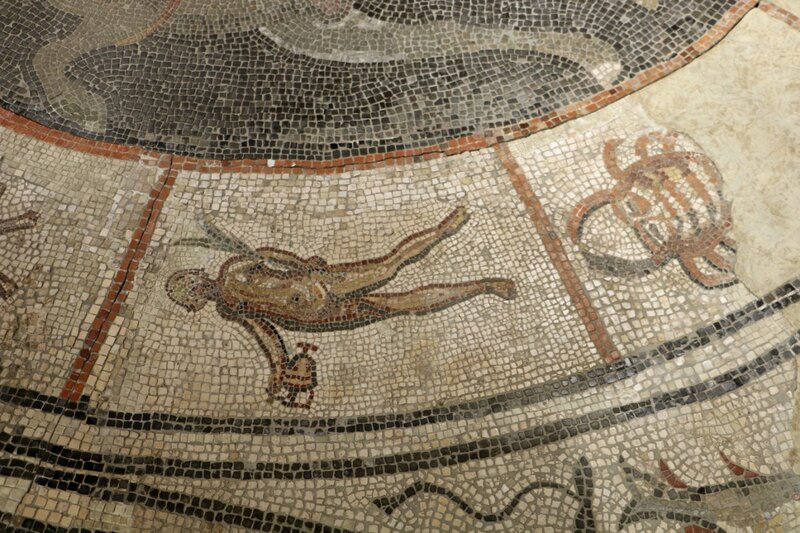 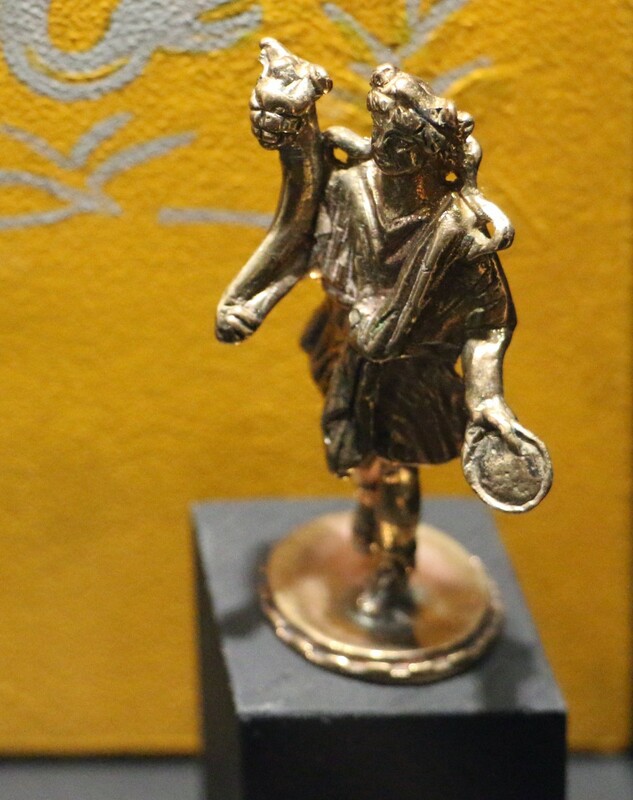 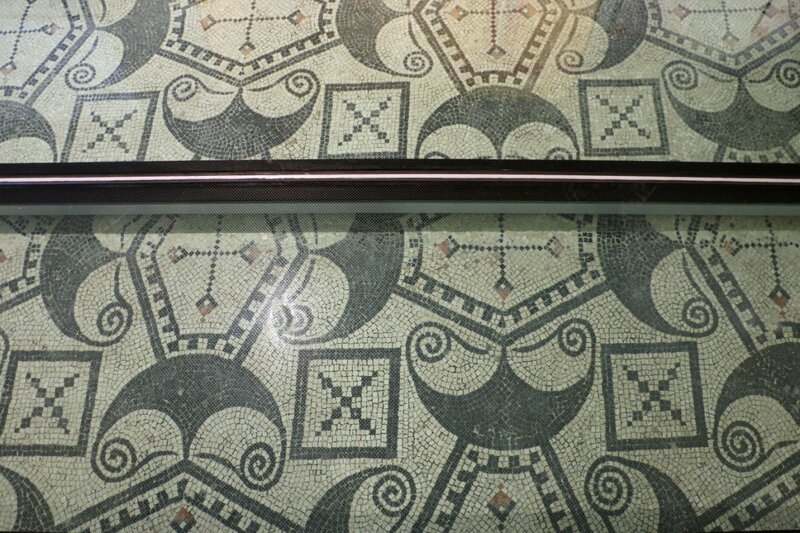 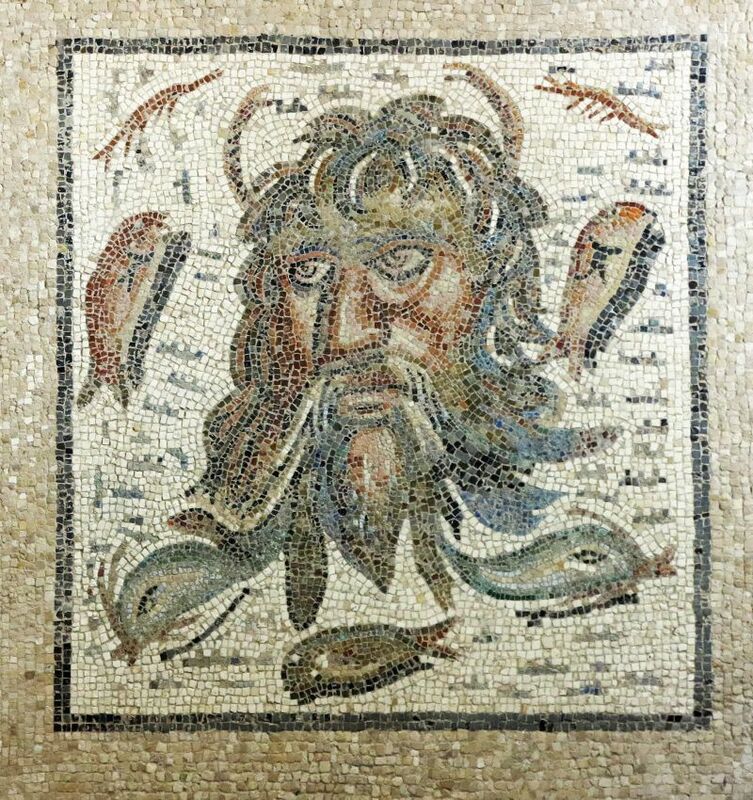 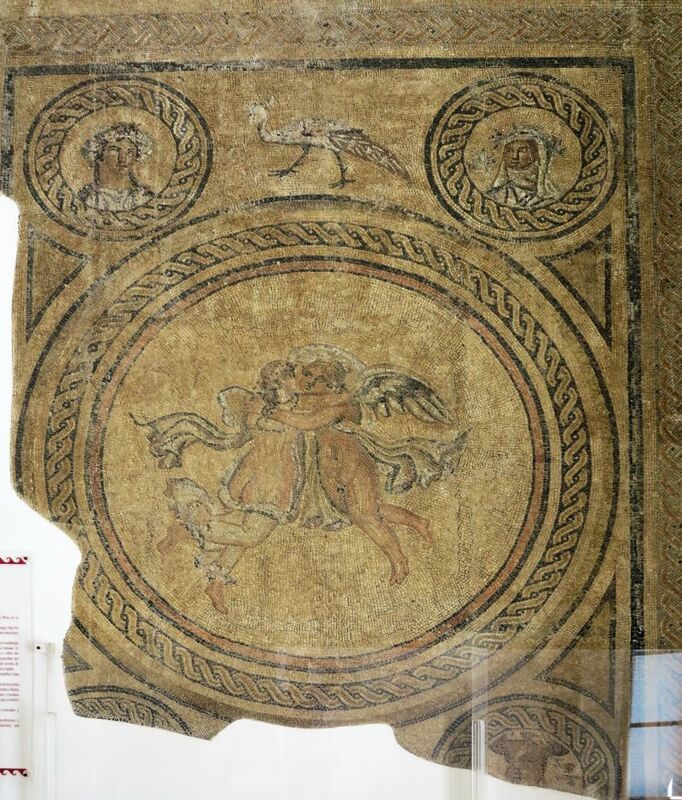 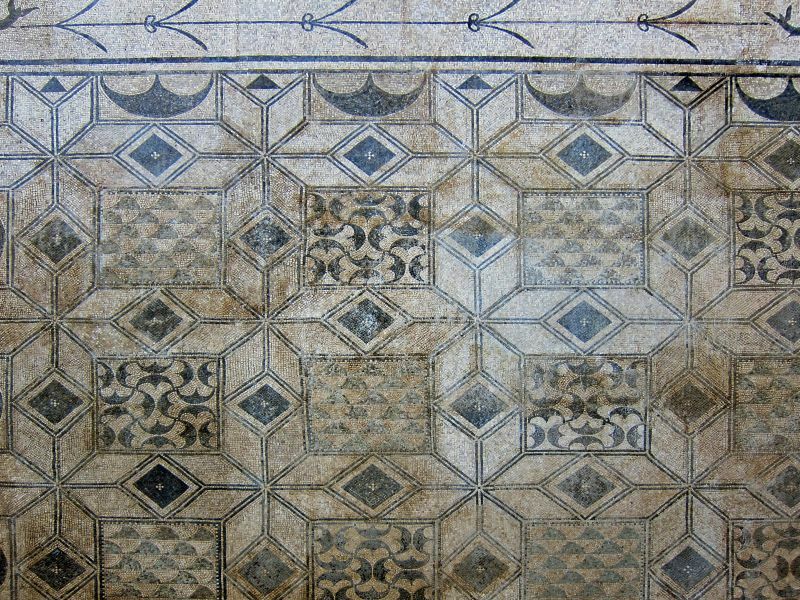 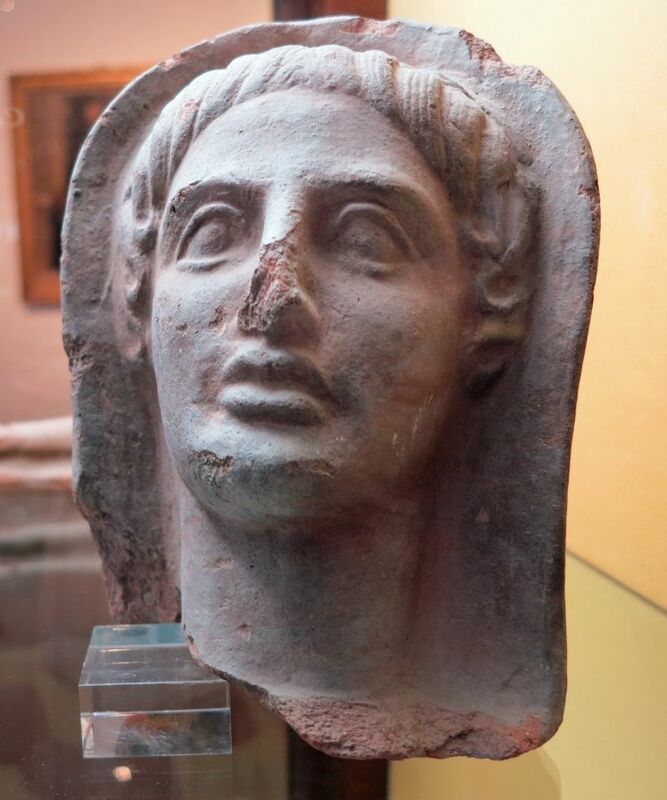 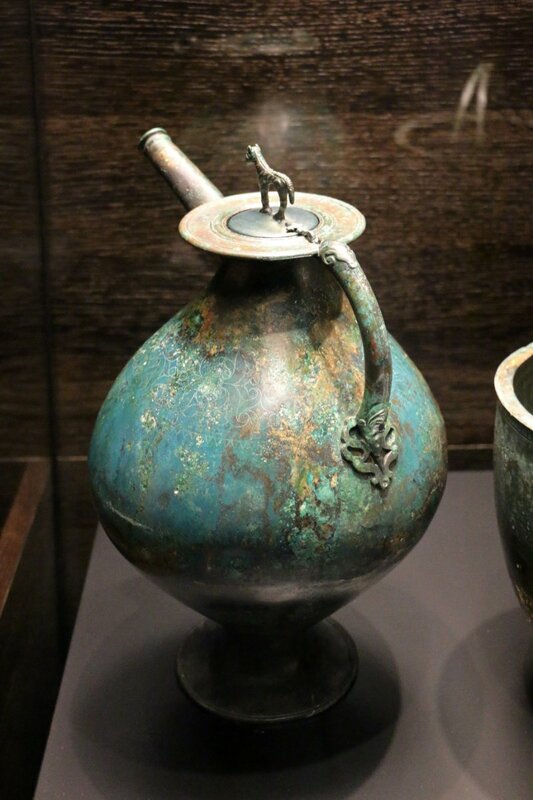 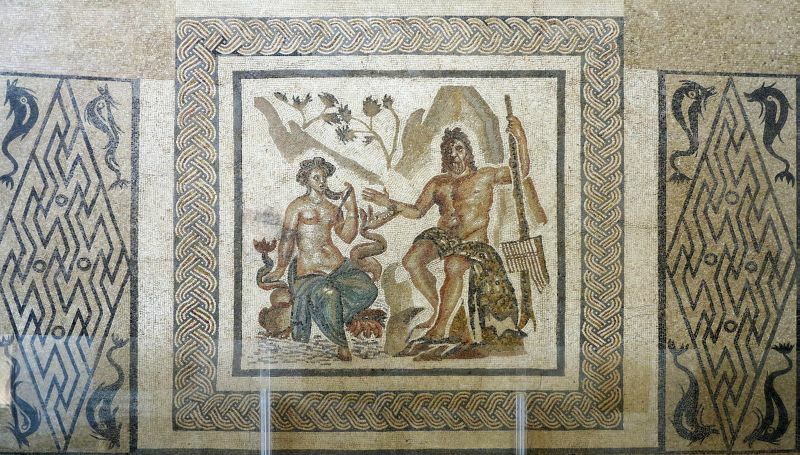 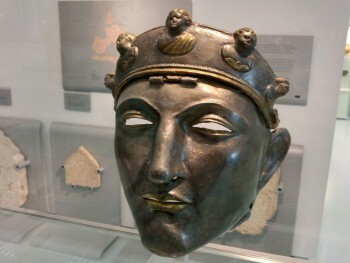 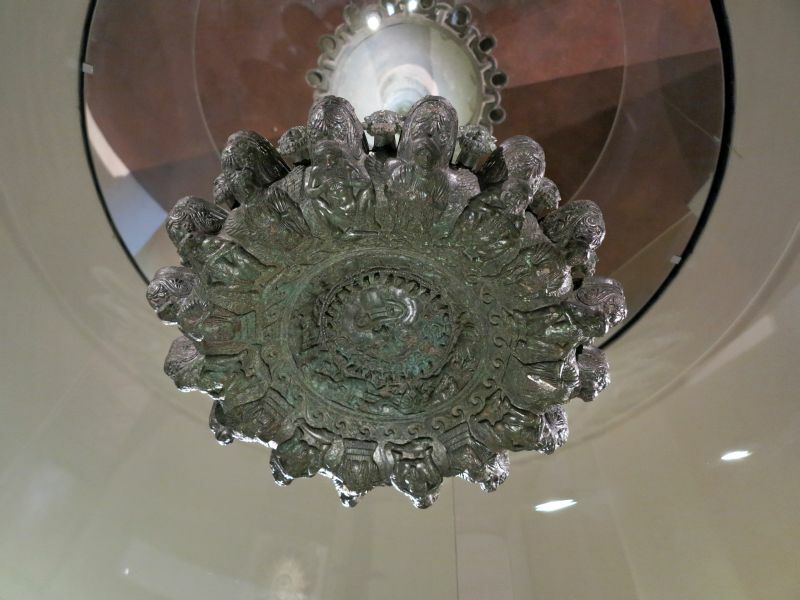 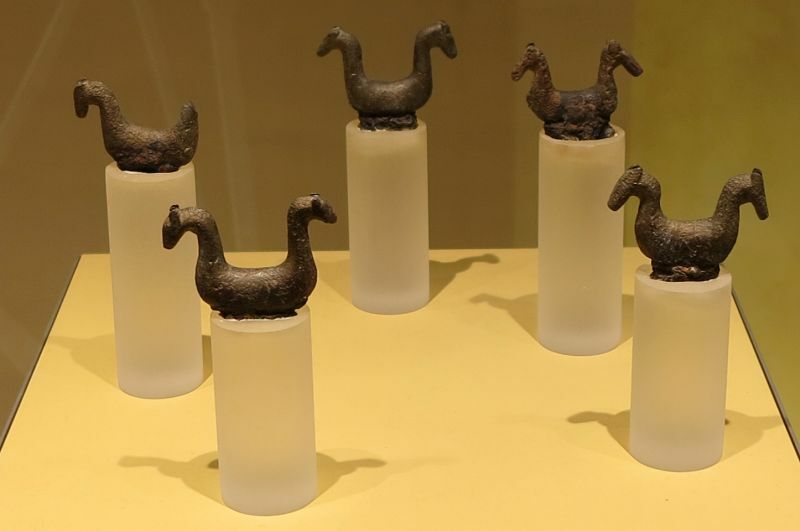 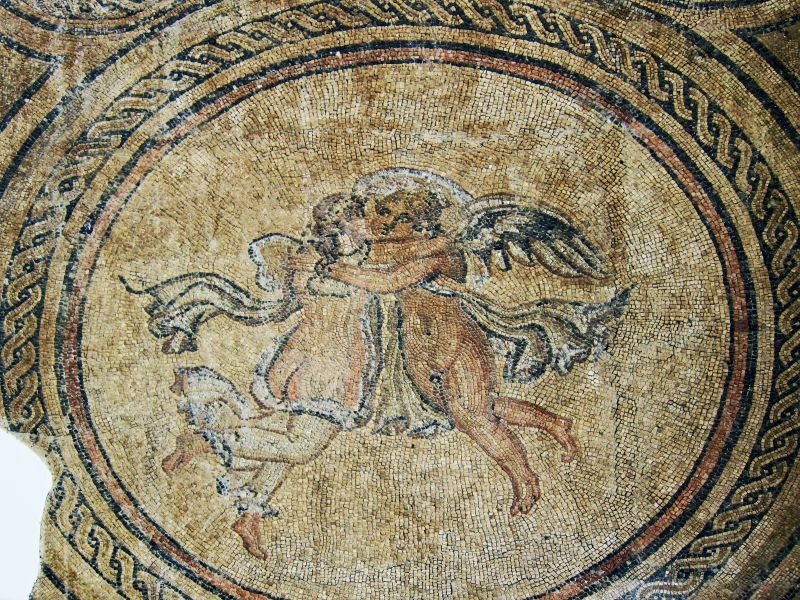 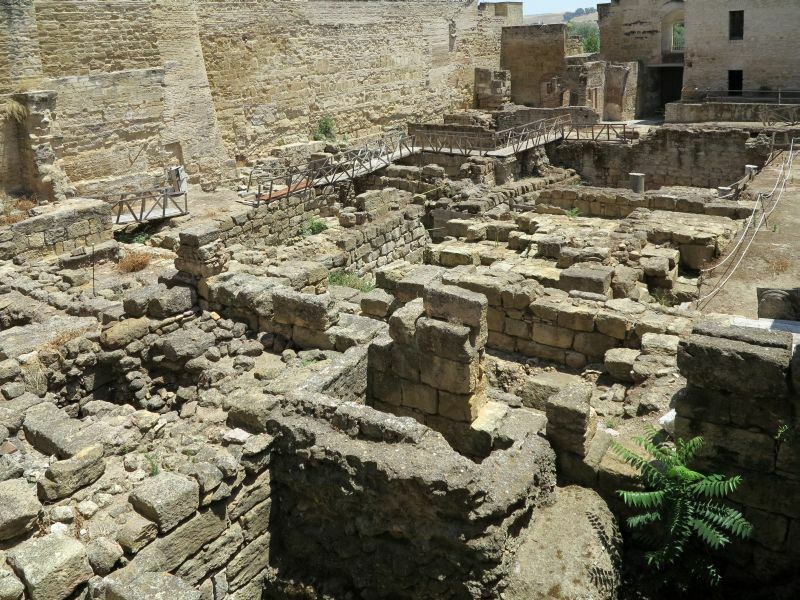 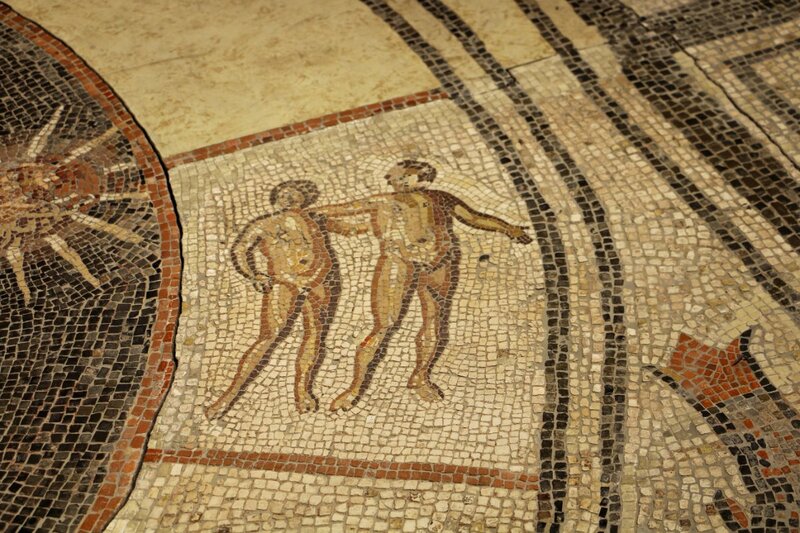 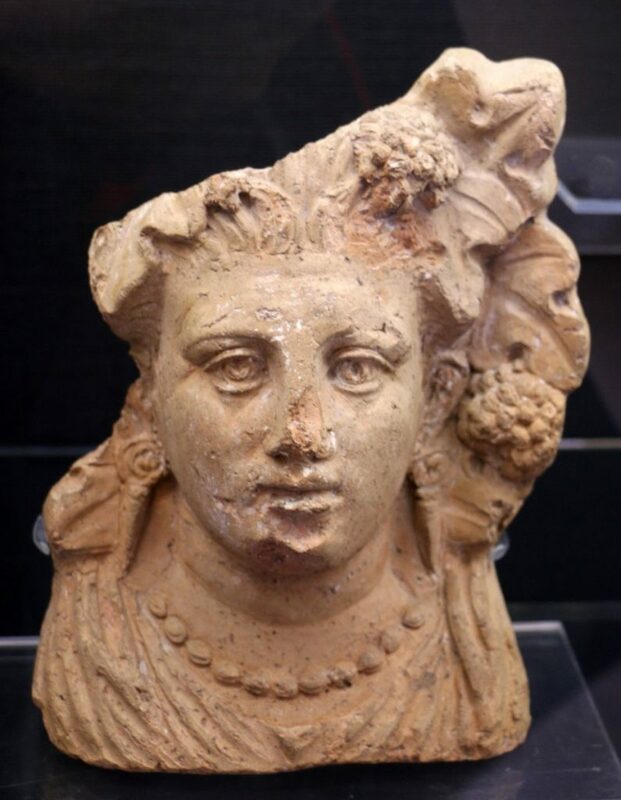 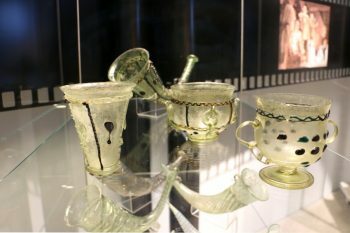 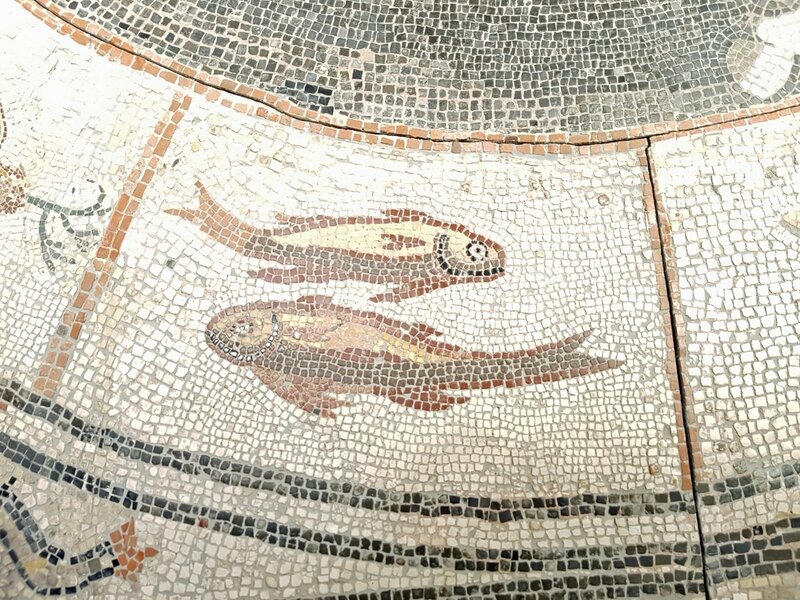 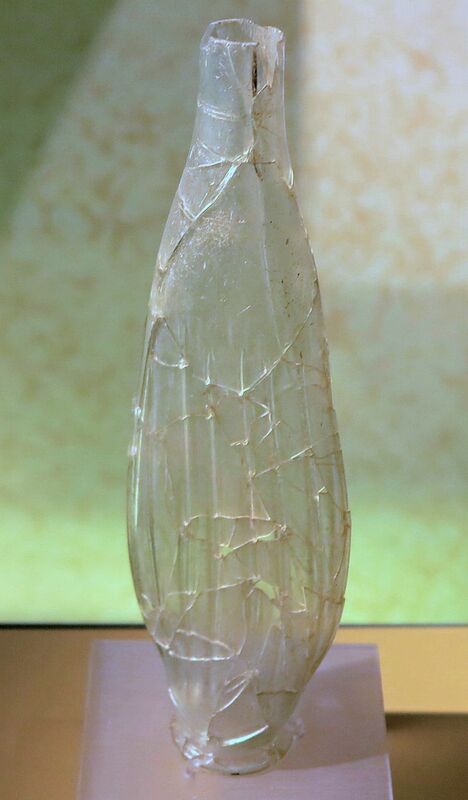 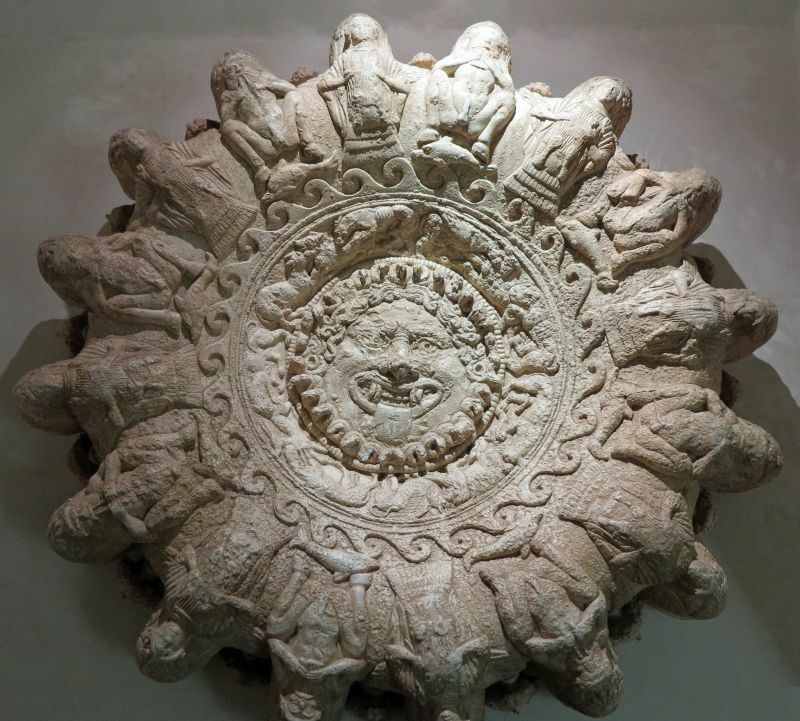 The tour ends with exhibits from the Roman period (a period of extraordinary complexity and high-profile) including finds from the large Roman villa (currently under excavation) unearthed in Ossaia as well as from the vast network of roads connecting the major centres in ancient times. 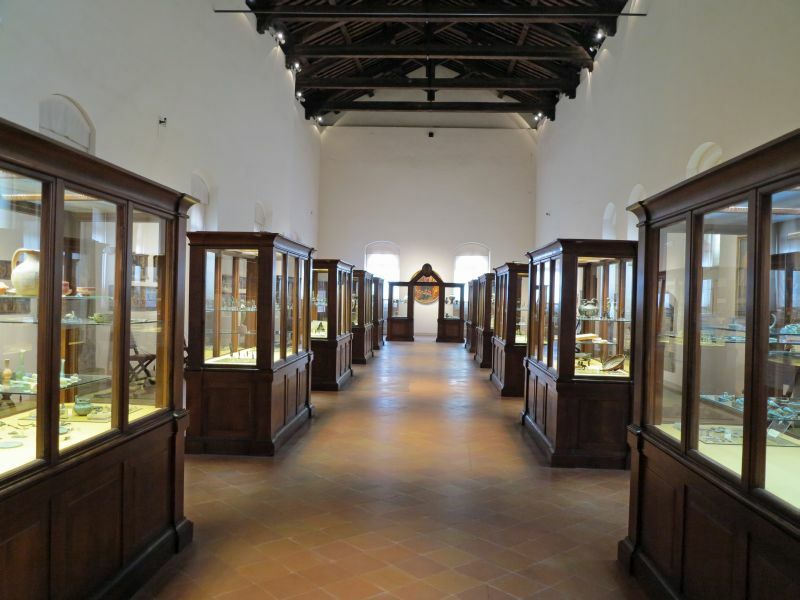 The tour then resumes, ensuring an ideal continuity with the lower section, with the medieval section housed on the upper floors devoted to the Accademia.